Having been watching football around the world for more years than I care to remember and visting huge quantities of clubs and stadiums it occured to me one day what had triggered this, so far, 36 year odyssey. Unearthing a childhood birthday present, “Bartholomew’s Football History Map of England and Wales” I came some way to explaining my compulsion. 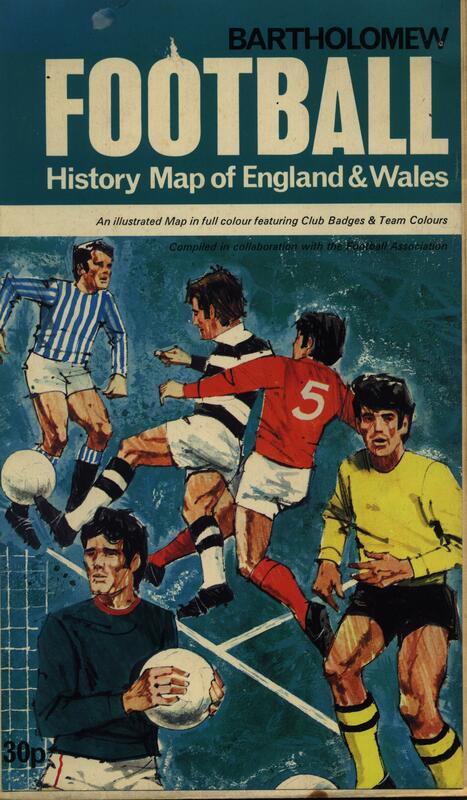 Part of a series which contained titles like the “The Historical Map of England”, “Clan Map of Old Scotland” and wait for it…”The Postal Map of Britain”, John Bartholomew & Sons of Duncan Street, Edinburgh well and truly hooked this youngster with their football map, first published in 1971. Reverentially opening the folded paper map would reveal a hitherto unparelled cornucopia of information, veitably awash with colour. 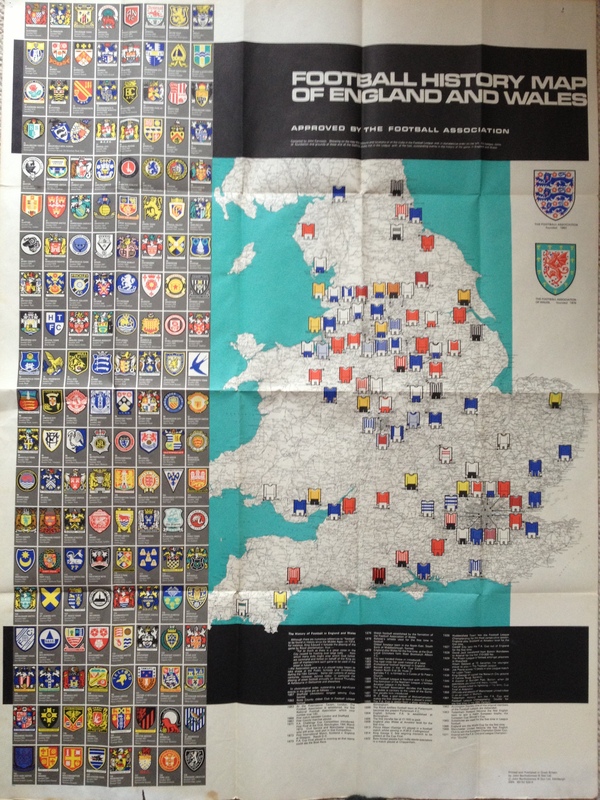 A map of England and Wales plotted the kits of all the Football League clubs and prominant non-league clubs. 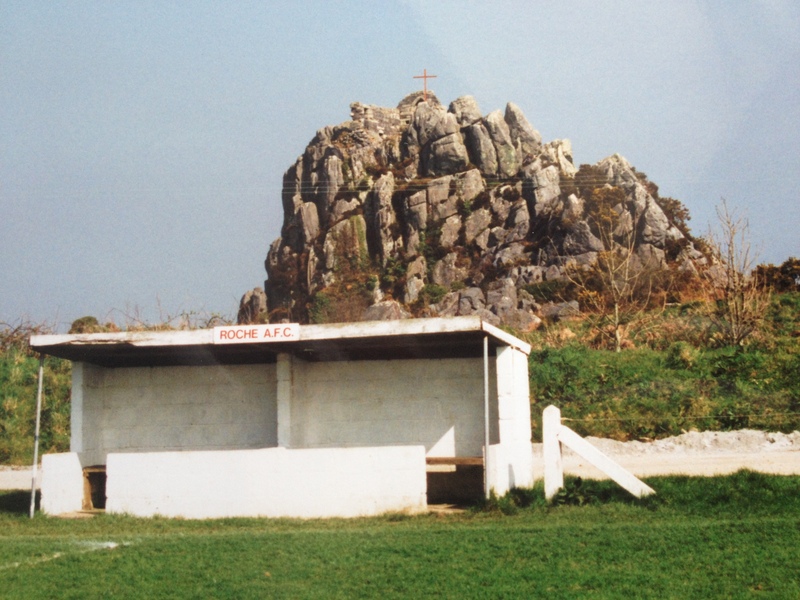 Some familiar places and other previously unheard of outposts of this footballing kingdom. 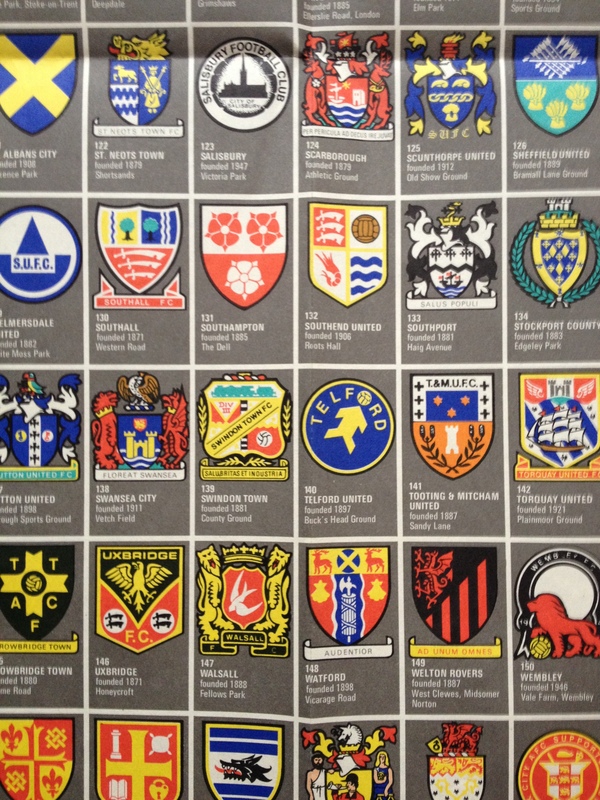 There were 159 badges down the left hand side, numbered alphabetically, the double space needed for Brighton and Hove Albion’s conjoined ensignia breaking the twenty lines of eight clubs. Of course the 92 clubs of the Football League, one entiety in those days, and Divisions One to Four, were all present and correct. The remaining 67 spaces were given over to that mysterious group of clubs and grounds collectively known as the “non-league”. Periodic FA Cup headlines aside these clubs seemed to be locked outside the fortress that was the Football League. To a small child their names were enticing “Anstey Nomads”, “Tooting and Mitcham United” and the austere sounding “Hull Brunswick”. Underneath each colour badge the clubs were given their sequential number, their year of formation (god some of these clubs were ancient!) and vitally the name of their home ground! It was surely the catalyst for discovery and spent many years on my childhood bedroom wall, apologies Aldershot for the pin hole. So forty odd years later, I pondered, what had happened to these clubs and the grounds, where were they now? Here is their story. Looking back there seemed to be no logical order to the selection off the non-league clubs. In those days there was no Conference for the best clubs, the Northern Premier League, the Southern League and the Isthmian League all could have its more successful clubs apply for memebership to the Football League. This would be contested in the annual re-election process where the bottom four teams in the Football League would ask for support from their piers to remain in the League. Very occassionally a successful non-league applicant would gain more votes than a poor performing League club and be admitted to the Football League. The failing League incumbant would be banished to the wilderness of non-league football. In 1971 Cambridge United had just replaced the ailing Bradford Park Avenue in the League. A year later Hereford United would oust Barrow, although in reality successful applications were rare indeed. Of the 92 Football League clubs at the end of the 1970/71 season, Luton Town, Mansfield Town, Halifax Town, Wrexham, Barrow, Cambridge United, Grimsby Town, Lincoln City, Southport, Stockport County and Workington have lost their Football League status in the intervening years. Aldershot, Chester, Darlington and Newport County have folded though all have reformed subsequently. Of the League clubs of the 2012/13 season Wigan Atheltic (Premier League), Yeovil Town, Stevenage, Crawley Town (League One), Cheltenham Town, Burton Albion, Wycombe Wanderers, Dagenham and Redbridge and Accrington Stanley (League Two) were excluded from the map despite being in some cases prominent non-league clubs of the era. MK Dons and AFC Wimbledon, of course, had yet to be formed. The 67 non-league clubs from the map had been drawn, seemingly at random, from no less than 20 Leagues and Divisions of those Leagues. Curious indeed. Added in was a touring team and a nomadic team of no fixed abode. Of the 159 clubs the following has happened over the last 42 years. 53 have changed grounds from the one listed on the map. 5 clubs have lost their ground since 1971. 2 grounds, Dean Court and Bucks Head have been totally rebuilt on the same site since 1971. 24 clubs have folded of which 16 have reformed. Andover, Hull Brunswick, Edmonton, Letchworth Town, Bridlington Trinity, Northern Nomads, Scarborough and Wolverton Town no longer recognisably exist. A further three clubs have merged with other clubs, Leytonstone, Ilford and Moor Green. 7 clubs have changed their name from the 1971 version, other than those due to a reformation. 2 clubs that previously groundshared no longer do so. In 1971 they were in Division Four. The club folded in 1992 and the re-born club, AldershotTown are in League Two having battled back through the non-leagues. In 1971 they were in the Northern Premier League, one step from League football. Nowadays at level 6 – Conference North. In 1971 they were in the Hellenic League Division One. Nowadays at level 10 in the Spartan South Midlands League Division One. In 1971 they were in the Southern League Division One. Ground demolished 1989, moving to the Portway Stadium. Club folded 2011. In 1971 they were in the East Midland Regional League. Having since played in the Leicestershire Senior League they are now in the East Midlands League. Still in the top flight, the club moved ground in 2006 to the Emirates Stadium. In 1971 the club were in the Third Division, now in the Premier League. In 1971 the club were in the Athenian League Premier Division. They are now in the Isthmian League Division One. In 1971 they were in the Isthmian League, one step from potential League membership. They are now in the Essex Senior League (level 9). Moved ground in 1973 to MayesbrookPark. In 1971 they were members of the Southern League, they are now a Football League club currently in League Two. Will move grounds for 2013/14. Up one tier in 42 years, were Division Three, now in the Championship. Were in Division Four, lost their League place in 1972. Now in the Conference. No change, were in the second tier in 1971. Were in the Northern League Division One as they are now. Ground demolished in 2001, moved to new ground, HeritagePark, in 2010. Were in the Isthmian League in 1971, now in the Conference North. 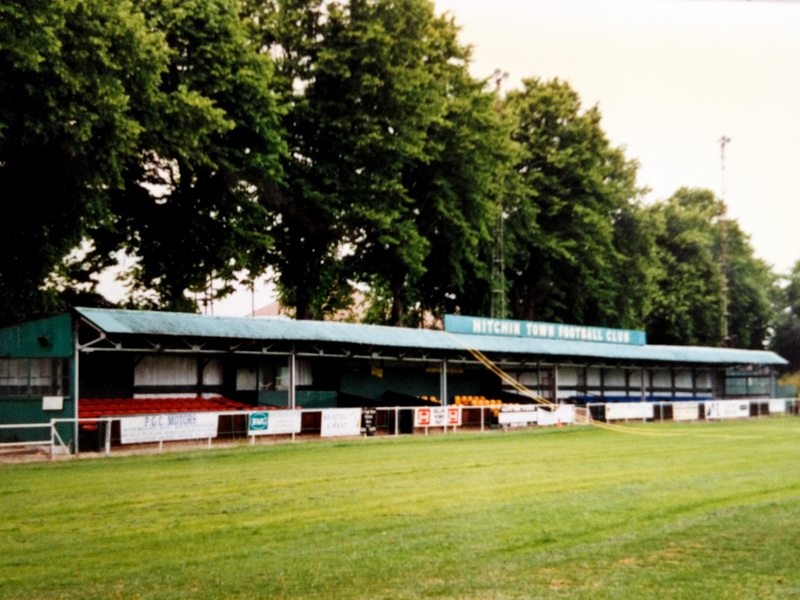 Moved ground in 1997 to the Woodside Stadium. Were in Division Three in 1971, now in the second tier. Were in Division Three in 1971, now in the second tier. Moved ground in 1997 to the Reebok Stadium. Still in the third tier. 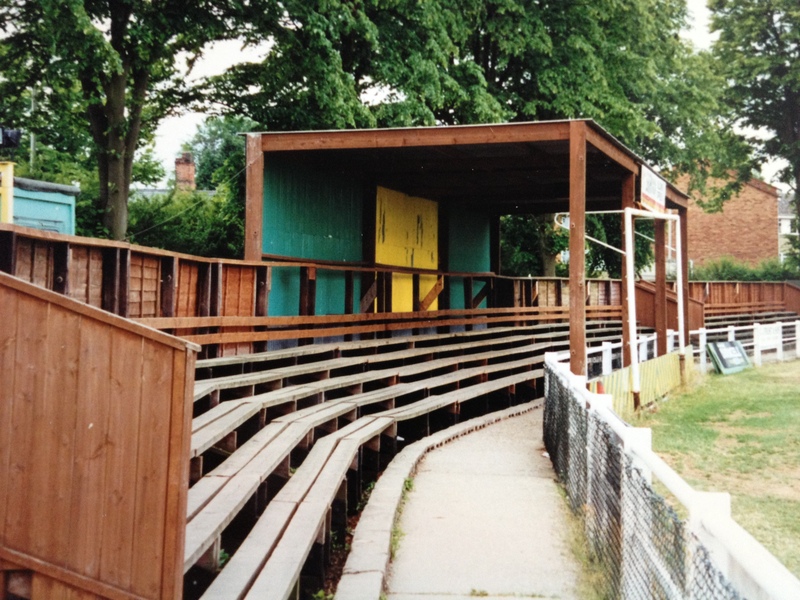 Ground rebuilt and re-orientated in 2001. Changed name 1972 to AFC Bournemouth. Now in the fourth tier, down a tier from 1971. Had just joined the Northern Premier League have been in the Football League. Club folded 1974 and ground demolished in 1973.New club formed 1988 and now in the Conference North. Now playing at the Horsfall Stadium. Up one tier from Division Four in 1971. Were in the Yorkshire League in 1971. Original club folded in 1994. Reformed club now in the Northern Counties East League. Were in the Yorkshire League in 1971. Folded in 1990 when they lost the use of their ground. Were in Division 3 in 1971, now second tier. Ground demolished 1997. 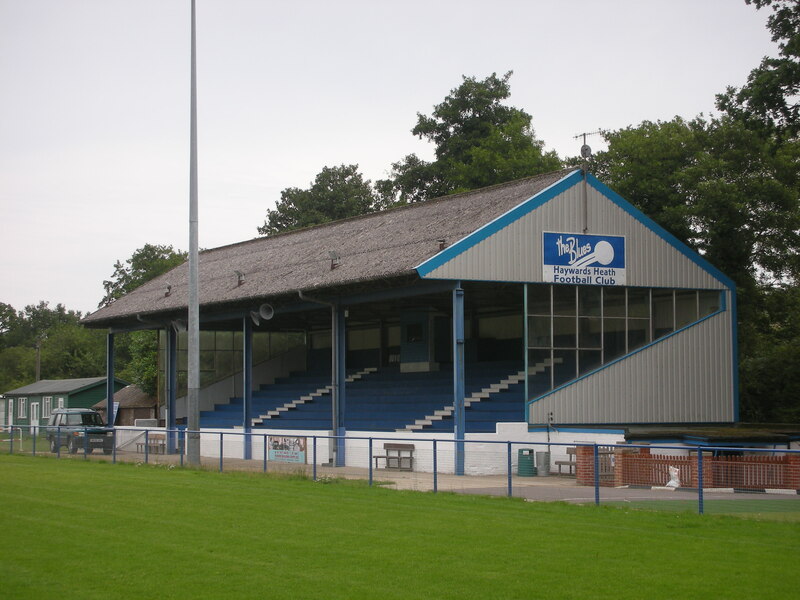 Moved ground in 2011, having played at Gillingham FC and the Withdean Stadium. Were in Division 3 in 1971, now fourth tier. Ground demolished 1986. 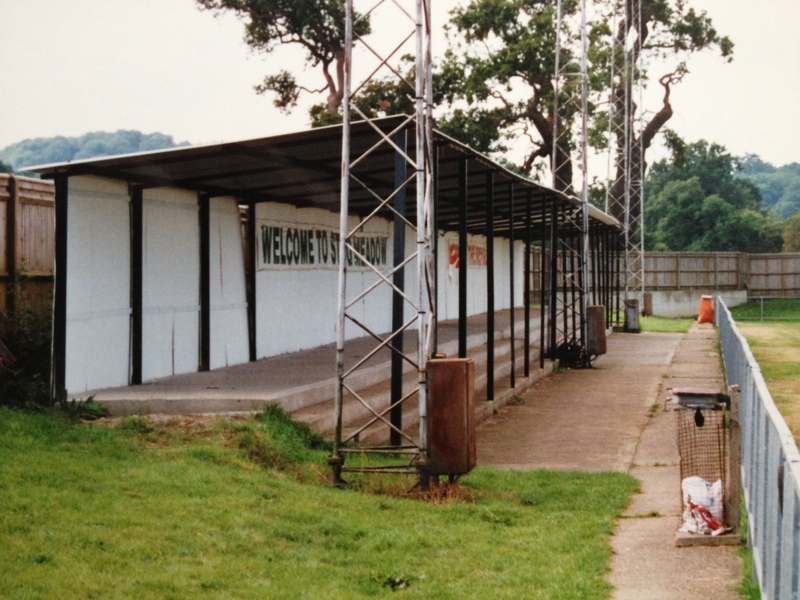 Moved ground in 1996 to the Memorial Ground, having shared at Bath City FC. Were in Division Four in 1971, now in the third tier. Had just come into the Football League in 1971, now in the Conference. Still in second tier, moved ground in 2009 to the Cardiff City Stadium. Were in Division 4, new club now in Conference North. 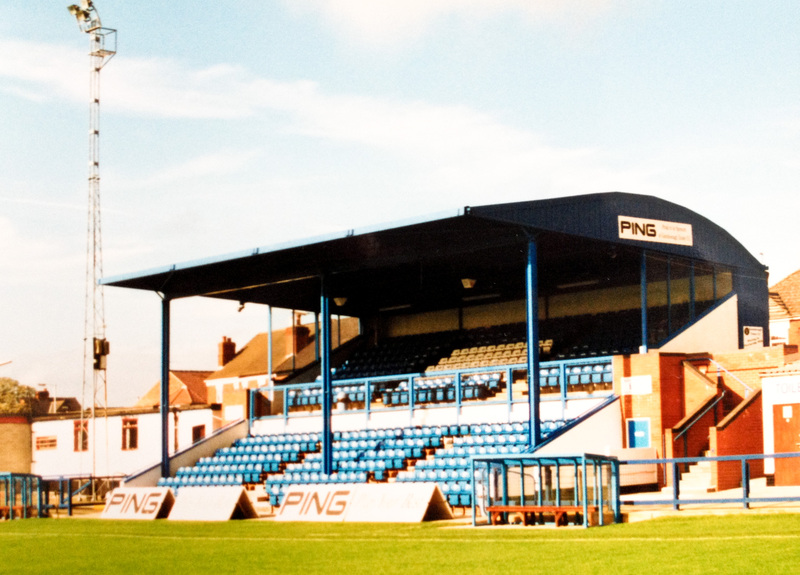 Moved ground in 1992 to the Deva Stadium. ChesterCity folded in 2010, reforming as Chester FC. Were in Division 3 in 1971, now fourth tier. Moved ground in 2010 to the ProAct Stadium. Were in Division Four in 1971, now in the third tier. Moved ground in 2008 to the Weston Homes Community Stadium. Were in Isthmian League, now in Division 1 of that League (level 8). Were groundsharing at Tooting and Mitcham, have been playing at their own ground, King George’s Field, since 1988. Were in Division One in 1971, now in third tier. Moved ground in 2005 to the Ricoh Arena. Were in Division Four in 1971, new club now in Northern League Division 1. Club folded 2012 re-forming as Darlington 1883. Moved ground 2003-2012 to the Darlington Arena. New club groundsharing at Bishop Auckland. Were in Division 1 in 1971, now in second tier. 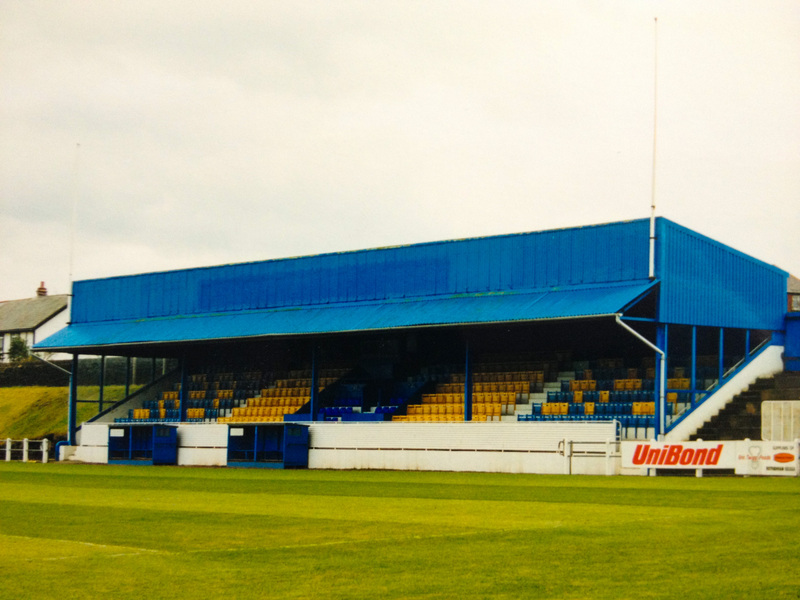 Moved ground in 1997 to PridePark. Were in Division 4 in 1971, now third tier. Moved ground in 2006 to the Keepmoat Stadium. Were in the Western League in 1971, now in the Conference South. Moved ground in 1990 to Avenue Road. Were in the Southern League Premier Division in 1971, now in Conference South. Folded 1983, reforming as Dover Athletic. Were in the Isthmian League in 1971, now in Division 1 of that league (level 8). Original stadium demolished in 1993, smaller stadium built on same site. Were in the Athenian League Division 1 in 1971, now in the Isthmian League Division 1 (level 8). Changed name 1971 to Eastbourne Town. Were in the Athenian League Division 1 in 1971. Merged with Tufnell Park in 1973 to form the club now known as Haringey Borough playing at Coles Park. The Barrass Stadium is still in existence. Were in Northern Premier League in 1971, now in League Two. 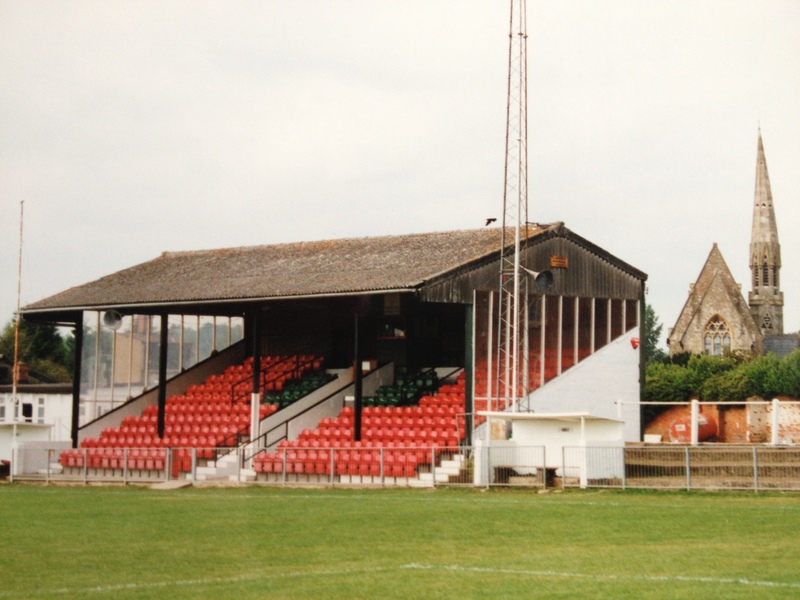 Folded 1997, reforming as FleetwoodTown. Were in the Midland League, now in Northern Premier League Premier Division. Changed name 1971 to Frickley Athletic. Were in Division Two in 1971, now in the top flight. Were in Manchester League in 1971, now in North West Counties League Premier Division (level 9). Reverted to original name of Glossop North End in 1992. Were in the Midland League, now in Northern Premier League Premier Division. Changed name 1971 to GranthamTown. Moved ground 1991 to the South Kesteven Stadium. Were in Division Four in 1971, now in the Conference. Were in the Southern League Premier Division, now in Division One. Folded and ground demolished 1974. New club formed 1996 playing at the Spectrum Leisure Centre. Were in Division 3 in 1971, new club now in Conference North. Folded in 2008 reforming as FC Halifax Town. Were in the Athenian League Division 1 in 1971, now in the Isthmian League Division 1 (level 8). Moved ground in 2006 to Barrows Farm. Were in the Athenian League Division 1 in 1971, now in the Isthmian League Premier Division (level 7). Were in Division Four, now in third tier. Changed to Hartlepool United in 1977. Were in the Athenian League Premier Division, now in the Essex & Suffolk Border League (level 11). Were in the Athenian League Division 1, now in the Southern League Premier Division. Moved ground to Vauxhall Road in 1972 and became Hemel HempsteadTown. Were in the Athenian League Premier Division, now in the Conference South. Folded in 2005, reformed as AFC Hornchurch. Were in the First Division in 1971, now in tier two. Moved ground in 1994 to the John Smith’s Stadium. Were in the Yorkshire League Division 2 in 1971. Lost ground and folded in 1973. Still in the second tier. Moved ground in 2002 to the Kingston Communications Stadium. Were in the Isthmian League in 1971. New club in Isthmian League Division One. Old club merged with Leytonstone and demolished ground in 1979.Current club formed in 1987. Were in the First Division in 1971, now in tier two. Were in the First Division in 1971, now in tier two. Moved to the King Power Stadium in 2002. Were in the Athenian League Division 1 in 1971. Folded 2002. Ground now Herts FA Ground. Were in the Isthmian League in 1971. Merged with Ilford 1979 and Walthamstow Avenue 1988. Ground demolished in 1979. Were in the Midland League in 1971. Folded in 1973, ground demolished. New club with same name formed in 1989 playing in the North Leicestershire League. Were in the Eastern Counties League, now in the Isthmian League Premier Division. Were in Division Two in 1971, now in the Conference. Still in top flight. Moved ground in 2003 to the Ettihad Stadium. Were in Division Three in 1971, now in the Conference. Were in the Cheshire League, now in Northern Premier League Premier Division. Were in the Athenian League Division 1 in 1971. Now in the Hellenic League Premier Division (level 9). Were in the Southern League Division 1 in 1971. Now in the Isthmian Premier. Still in second tier. Moved to the Riverside Stadium in 1995. Still in second tier. Moved to the New Den in 1993. Were in the Midland Combination in 1971. Ground demolished in 2005, merged with Solihull Borough in 2007. Still a touring select eleven. Were in the Northern Premier League in 1971, now in League Two. Moved to the Globe Arena in 2010. Were in the Lancashire Combination in 1971, now in North West Counties League First Division (level 10). Ground demolished in 1980, now playing at Victoria Park. Were in Division Four in 1971, new club now in the Conference. Folded and ground demolished 1989. New club now playing at Rodney Parade. Still in fourth tier. Moved ground in 1994 to Sixfields. Were in the Lancashire Combination in 1971. 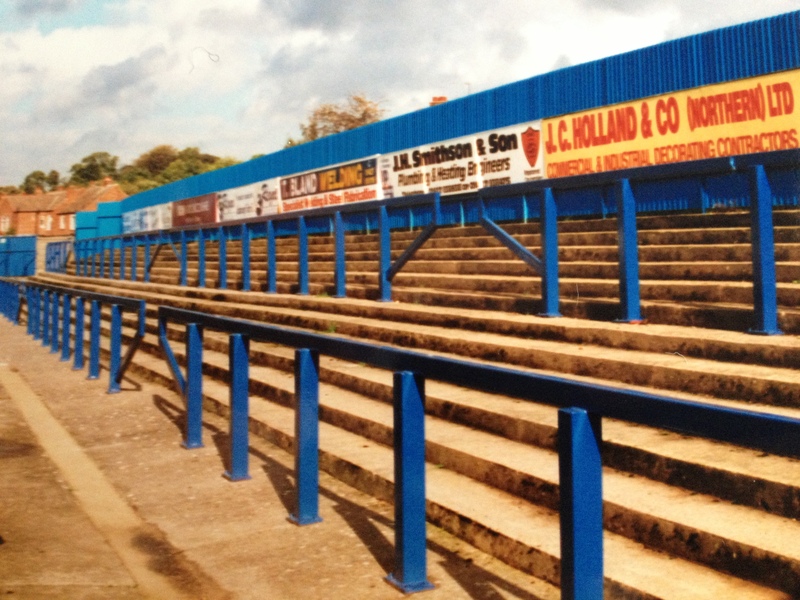 Folded 1984, no permanent home they used Stalybridge Celtic’s ground. Were in the Northern Premier League in 1971, now in Division 1 of that league. Drill Field demolished 2002, lost Victoria Stadium in 2012. Now groundsharing at Stafford Rangers FC. Were in Division Two in 1971, now top tier. Were in Division One, now in second tier. Were in Division Two in 1971, now in the third tier. Reverted to former name of Leyton Orient in 1987. Were in Division Two in 1971, now in the fourth tier. Moved to the Kassam Stadium in 2001. We in Division Four in 1971, now in second tier. Were in Division Three in 1971, now in the fourth tier. Were in the Southern League Premier Division in 1971, now in Division One of that League (Level 8). Lost use of ground in 1994, now playing at the Tatnum Ground. Were in Division Two in 1971, now in the third tier. Were in Lancashire Combination in 1971, now in Manchester League. 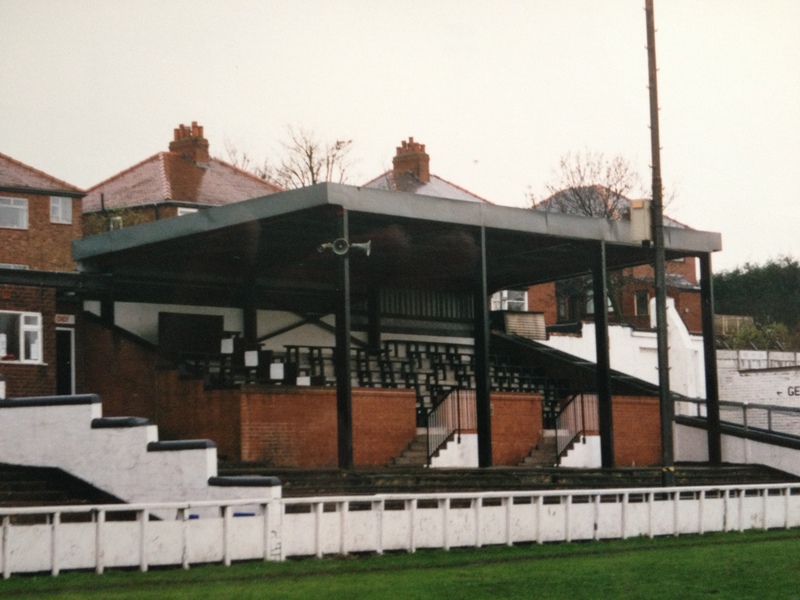 Ground demolished 1991, now playing at Sandgate Road. Were in Division Four in 1971, now top tier. Moved ground in 1998 to the Madjewski Stadium. Were in the Athenian League Premier Division in 1971, now in the Sussex County League Division 1 (level 9). Moved ground in 1984 to Kiln Brow. Were in Division Three in 1971, now in the fourth tier. Lost ground in 2008. Moved ground in 2012 to the New York Stadium. Were in the Isthmian League in 1971, now in the Southern League Premier Division (level 7). Were in the Eastern Counties League in 1971, now in the Southern League Premier Division (level 7). Lost ground and folded 1988. Reformed in 1990 moving to RowleyPark in 1993. 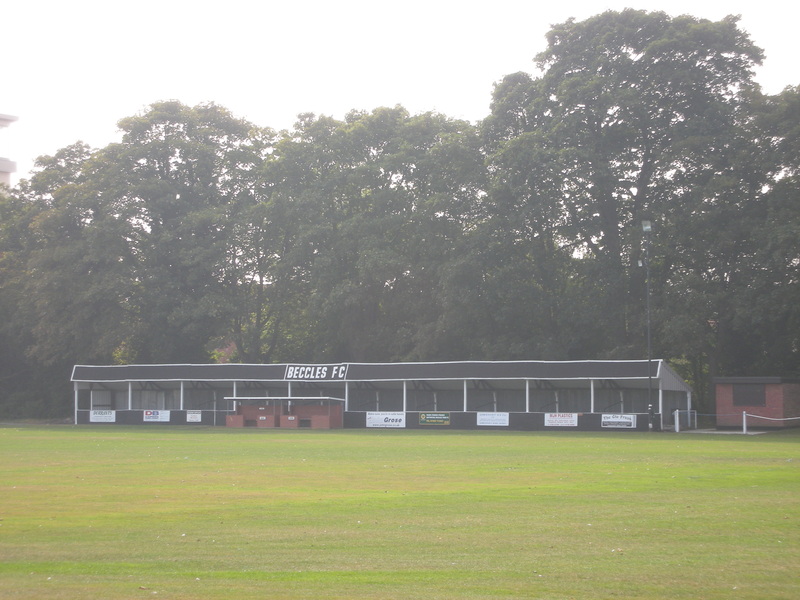 Club moved to a new ground also called RowleyPark in 2008. Were in the Southern League Division 1 in 1971, now in the Conference South. Moved ground in 1997 to the Raymond McEnhill Stadium. Added City to their name in 1993. Lost ground and folded in 2007. Were in Division Four in 1971, now third tier. 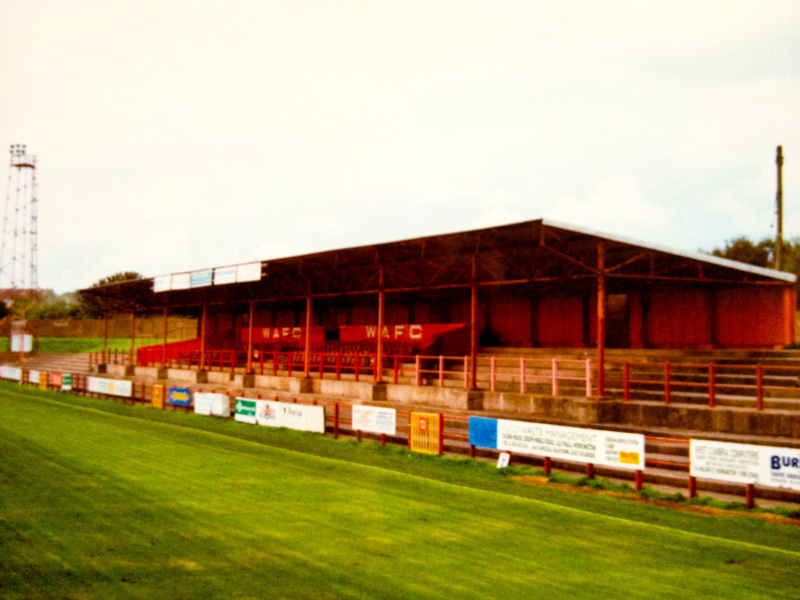 Moved ground in 1988 to GlanfordPark. Were in Division One in 1971, now in third tier. Still in third tier. Moved ground in 2007 to the New Meadow. Were in the Northern Premier League in 1971, now in Division One of that League (level 8). Ground demolished 2003 now playing at Stormy Corner. Were in the Athenian League Premier Division. Ground demolished 1994. 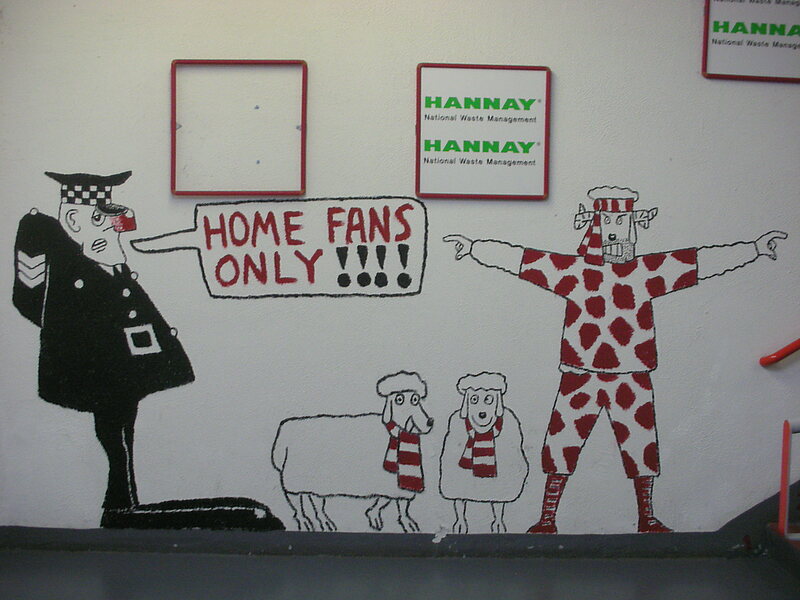 Now in Spartan South Midlands League Division 1 (level 10) groundsharing at Hanwell Town FC. Still in top tier. Moved ground in 2001 to St.Mary’s Stadium. Were in Division Four, now in the Conference. Still in top flight. Moved ground in 1997 to the Britannia Stadium. Were in Division Two in 1971, now top flight. Moved to the Stadium of Light in 1997. Were in the Isthmian League, now in the Conference South. Were in Division Three now in the top flight. Moved to the Liberty Stadium in 2005. Were in Division Two in 1971, now third tier. Were in the Southern League Premier Division in 1971. New club now in Conference. 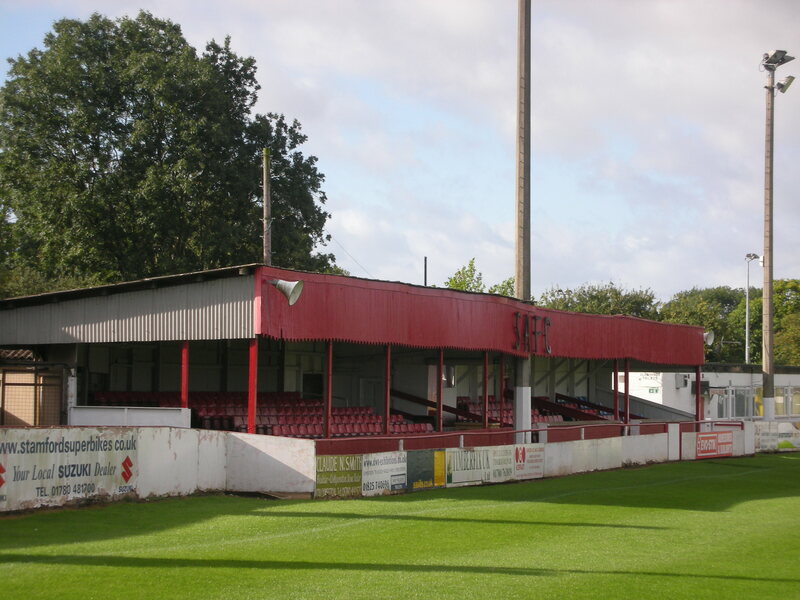 Ground totally rebuilt in 2003 now called the New Bucks Head. Old club folded in 2004 reforming as AFC Telford United. Were in the Isthmian League, now in the First Division of that League. Ground demolished in 2002, now playing at Imperial Fields. Were in Third Division in 1971, now fourth tier. Were in the Southern League Division 1. Folded and ground demolished 1998. New club formed and playing at Woodmarsh in the Wiltshire League (level 11). Were in the Athenian League Division One, now in the Southern League Division 1. Still in third tier. Moved ground in 1990 to the Bescot Stadium. Were in the Western League, now in Division 1 of that League (Level 10). Were in the Athenian League Premier Division, now in the Combined Counties League Premier Division (level 9). Were in the Isthmian League, now in the Conference. Were in Division One in 1971, now in tier two. Were in the United Counties League in 1971. Folded 1992. 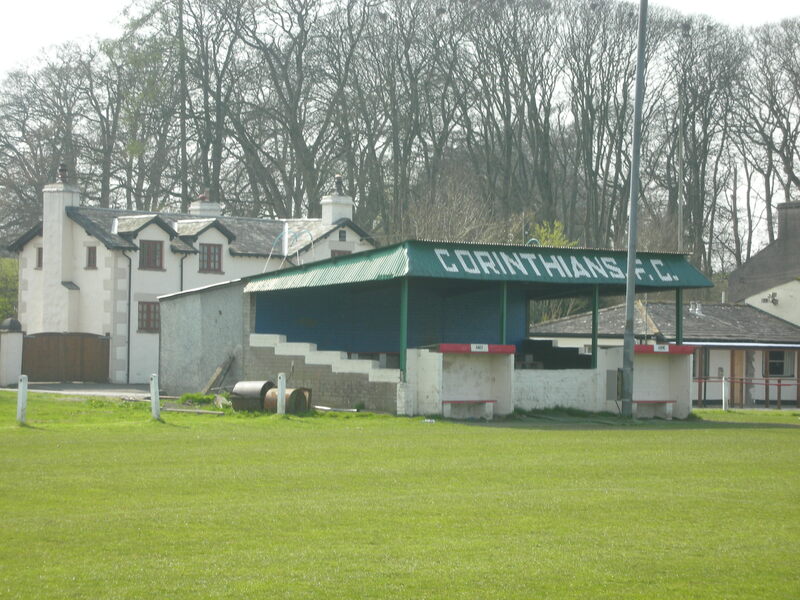 Ground now communal park with stand preserved as it was the oldest surviving structure in football. Were in the Fourth Division, now in the Conference North (level 6). Were in Division Three, now in the Conference. Were in Division Three, now in fourth tier. Were in the Yorkshire League First Division, now in Division One of the Northern Counties East League. 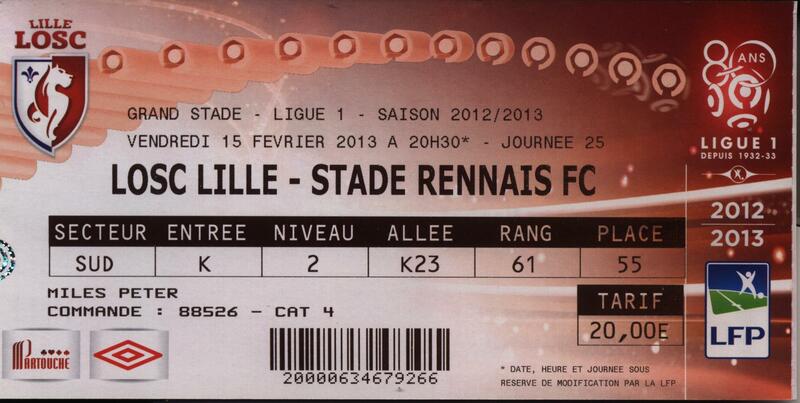 It is always nice to visit a shiny new stadium in its nascent year and this was the case with this Friday night trip to Nord Pays de Calais and the city of Lille. Well actually it’s not Lille but the neighbouring town of Villeneuve D’Ascq where this shimmering edifice, built by architect Pierre Ferret, is situated. 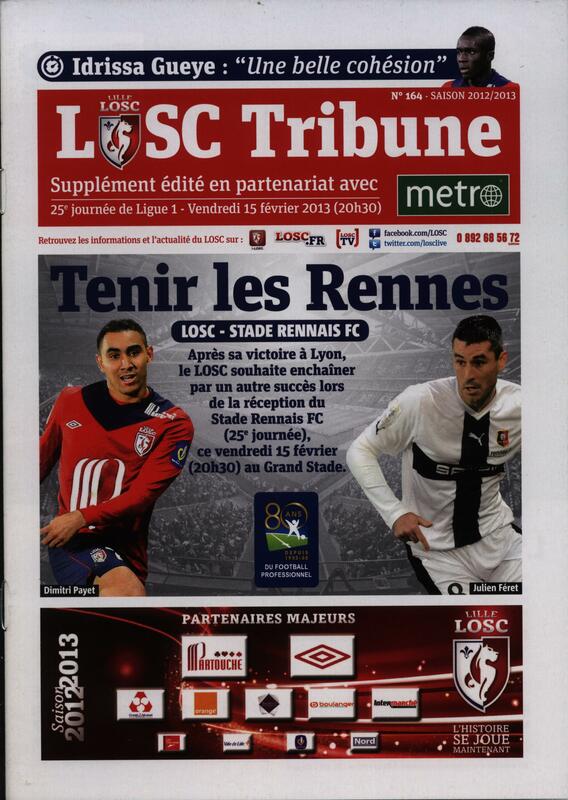 The history of Lille OSC and its grounds is worth a few lines in itself. 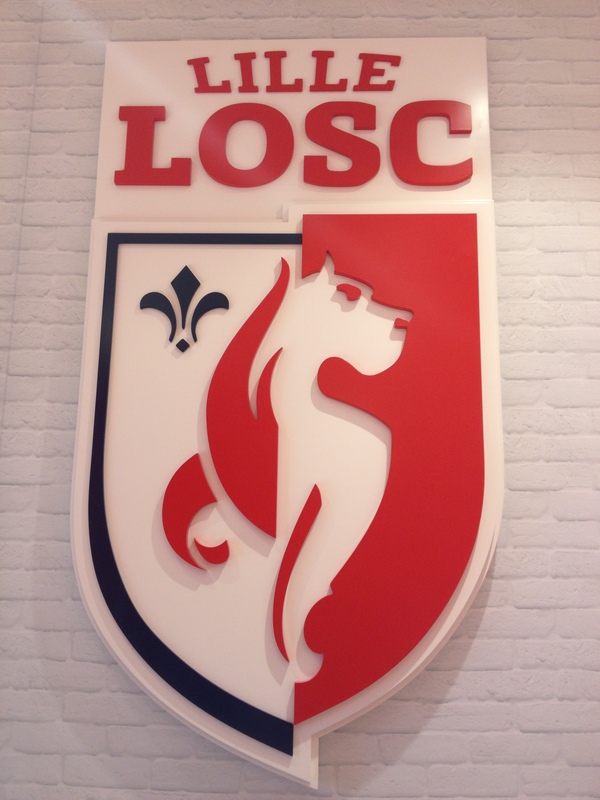 The current club were formed in September 1944 from a merger of Olympique Lillois and SC Fives, hence the OSC as the current club’s suffix. Five years earlier Lillois had tried to merge with Fives but on a breakdown of discussions they merged instead with Iris Club Lillois. Therefore the current club traces its ancestry to a triumvirate of local clubs. The newly merged club played initially at a modest stadium called the Stade Henri Jooris which was replaced in 1974 with the Stade Grimonprez-Jooris built by architect Roger Taillibert. The new stadium opened with an official inauguration match against Feyenoord in September 1975. 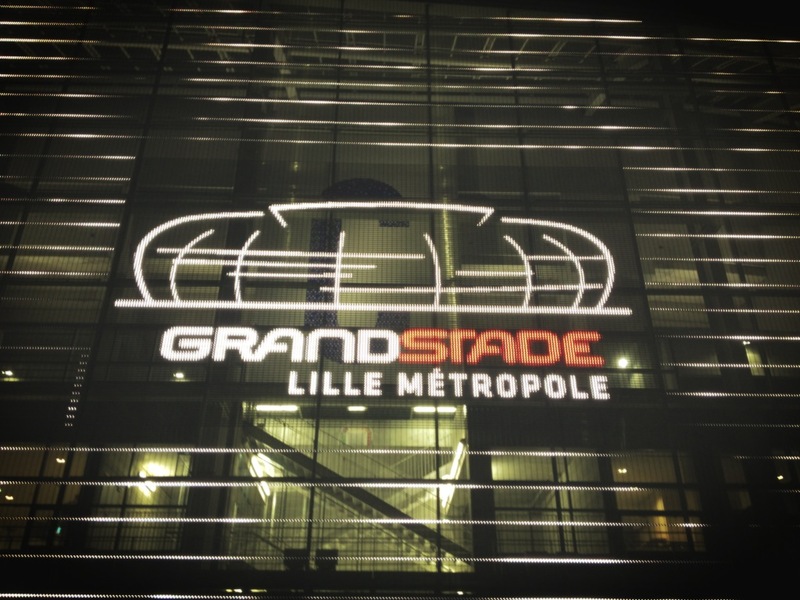 In 2003 the City of Lille announced that the Grimonprez-Jooris would be demolished and replaced with a brand new stadium for LOSC. This necessitated a “temporary” decampment to the neighbouring town of Villeneuve D’Ascq to use their Stade Lille-Métropole will the construction work took place. Except it never started, bogged down with red tape and political constraints it was shelved and the Grimonprez-Jooris was only demolished as recently as 2010. 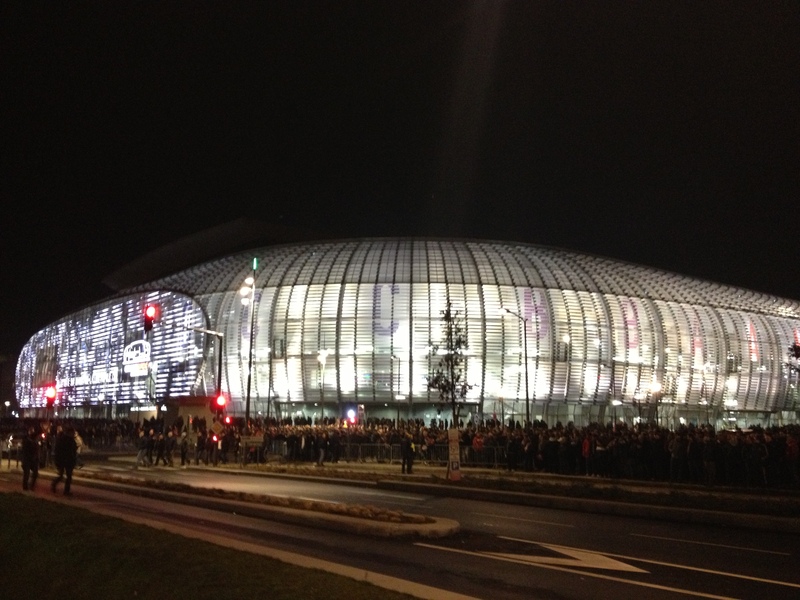 As France were awarded the 2016 European Championships, budgetary concerns were shelved and the new stadium would be one of the host venues for the tournament. 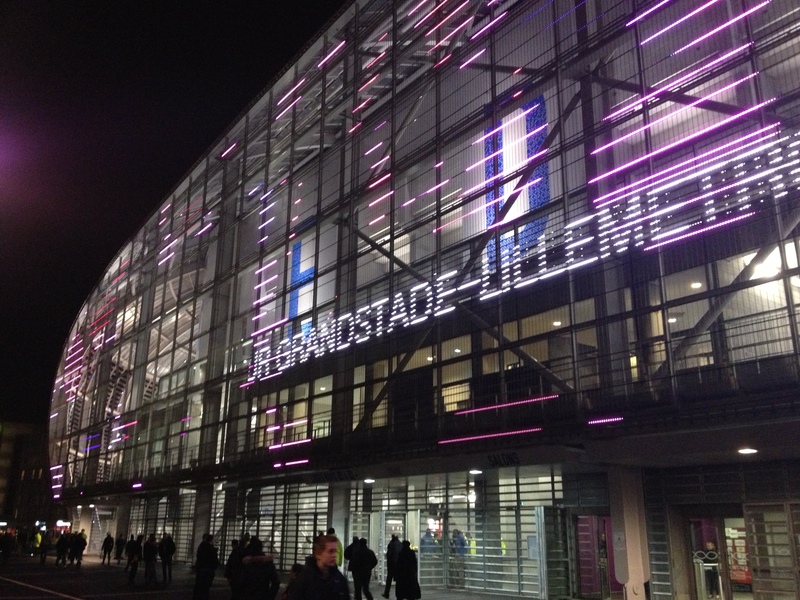 Built a mile or so away from the old Lille-Métropole the new stadium is an imposing structure seating 50,000, wrapped with fluorescent tubing and sheltered from malevolent weather by the seeming now obligatory retractable roof. It has of course won the required UEFA 5 star grading and has also drawn critical approval from design gurus. But what is it really like? The outside is impressive, neon messages and images sparkle on the back of the north stand as the evening crackles into life. The tubular casing around the exterior promise of a light show worth remembering after the final whistle. 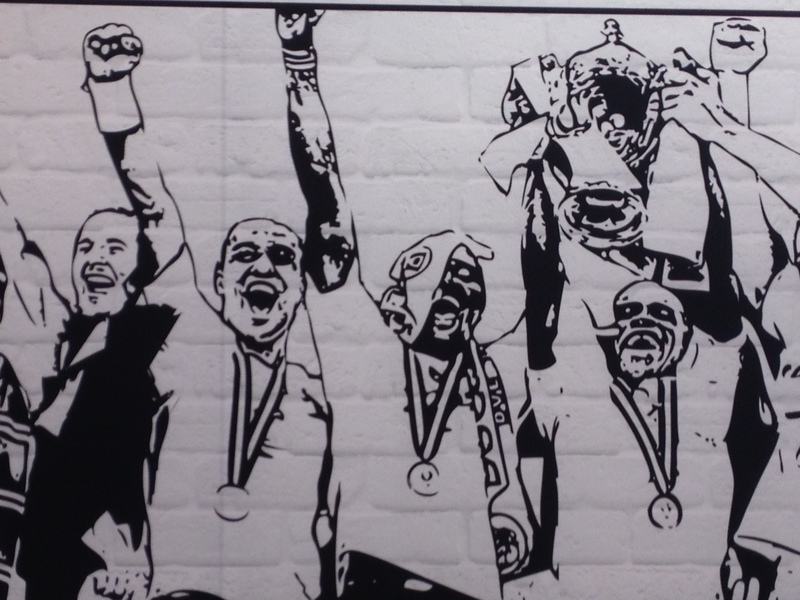 The double win of League and French Cup in 2010-11 is amply celebrated with decorative murals. Internally the immediate impression is the vast symmetry and the blandness of the grey seats chosen for a club fiercely proud of its red shirts and mastiff logo. These are missing from the interior and the spectator gets three tiers (the middle being the corporate boxes and seats), in three varying shades of grey, darkest uppermost. One can’t help thinking that red and liberal use of the unusual club logo would have been far more eye-catching. The new pitch is already in poor condition, rutted and patchy in places. Staging a Stade Français v Toulon rugby match shortly will surely only compound this particular issue. The roof is not needed tonight on a cold but dry evening, the football on offer is disappointingly low on quality. This was amply highlighted by the opening goal, a visiting defender lying pole-axed and face down in his area diverting a fierce cross into his own goal. The result is put beyond doubt with a second Lille goal half way through the second period. Disappointing Rennes, in fifth place at the start of play, mount little in the way of response and seem accepting of their fate. One sad aspect of the match was a season ending cruciate ligament injury to the visitors exciting prospect Romain Alessandrini. Upon leaving the exterior has an ethereal white glow, not from electricity coursing through the external tubing but from the interior stadium lighting reflecting outwards through the casing. It is impressive enough but a red pulsing exterior like a landing alien space ship would have set the stadium off a treat. 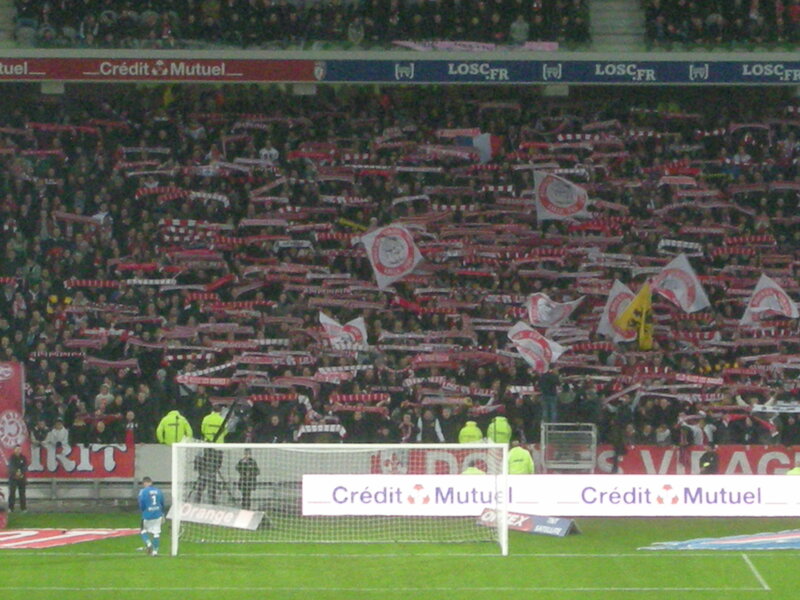 With impressive crowds already doubling the 18,000 capacity of the old stadium, the move is one of common sense and pragmatism and LOSC now have a home to suit their undoubted ambition. 16.Steeve Elana; 25.Marko Baša; 18. Franck Béria; 22. Aurélien Chedjou (c); 3.Lucas Digne; 4.Florent Balmont; 10. Marvin Martin; 5. Idrissa Gueye; 7. Dmitri Payet; 8. Saloman Kalou; 20. Ronny Rodelin. Subs: 9.Túlio de Melo; 14. David Rozenhal (for 7, 89 mins); 15. Djibril Sidibé; 17. Benoît Pedretti; 26. Nolan Roux (for 20, 84 mins); 30 Barel Mouko; 33. Divock Origi (for 10, 90 mins). 1. Benoît Costil; 23. Hérita Ilunga; 29. Romain Danzé (c); 2. Kevin Theophile-Catherine; 3. Chris Mavinga; 5. Jean-Armel Kana-Biyik; 6. Alou Diarra; 15. Jean II Makoun; 8. Julien Féret; 19. Romain Alessandrini; 9. Mevlut Erdinç. Subs: 4. Onyekachi Apam; 10. Sadio Diallo; 16. Abdoulaye Diallo; 18. Chieck Diarra (for 9, 74 mins); 22. Anders Konradsen (for 6, 70 mins); 24. Dimitri Foulquier; 27. Abdoulaye Doucouré (for 19, 36 mins). 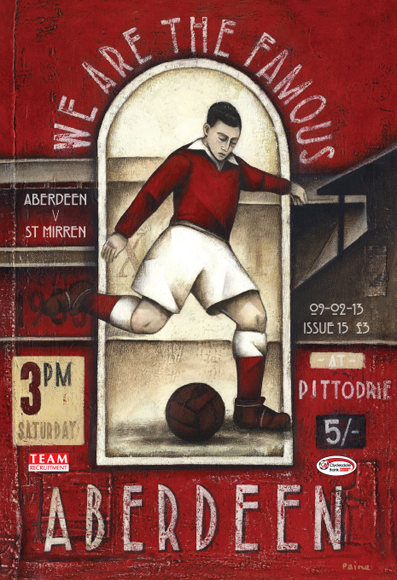 Over the last one hundred years or so Aberdeen Football Club could well be used as an archetypal blueprint of how to run a football well. Formed in 1903 from a prudent merger of Victoria United, Orion and the existing Aberdeen club, the empowered merged club made big strides. 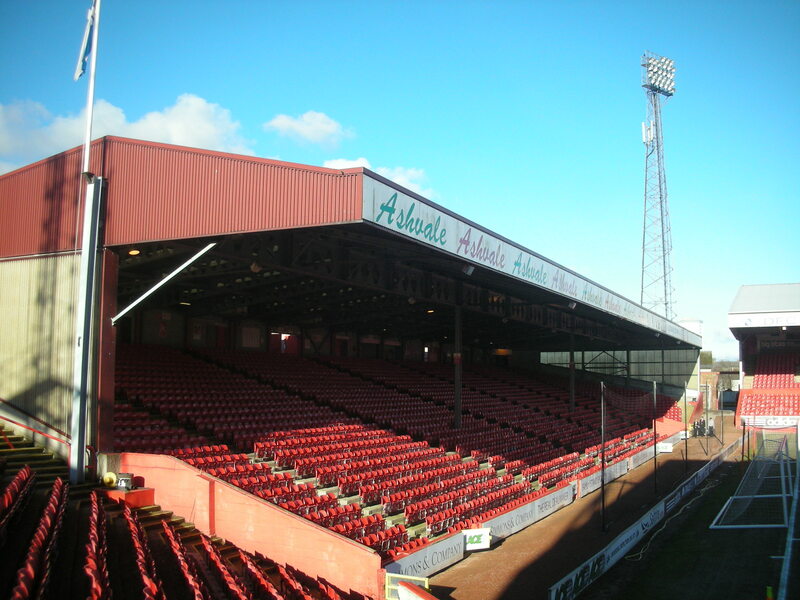 Aberdeen’s own ground at Pittodrie, their home since 1899, was chosen as headquarters and design and innovation became part and parcel of this progressive club. 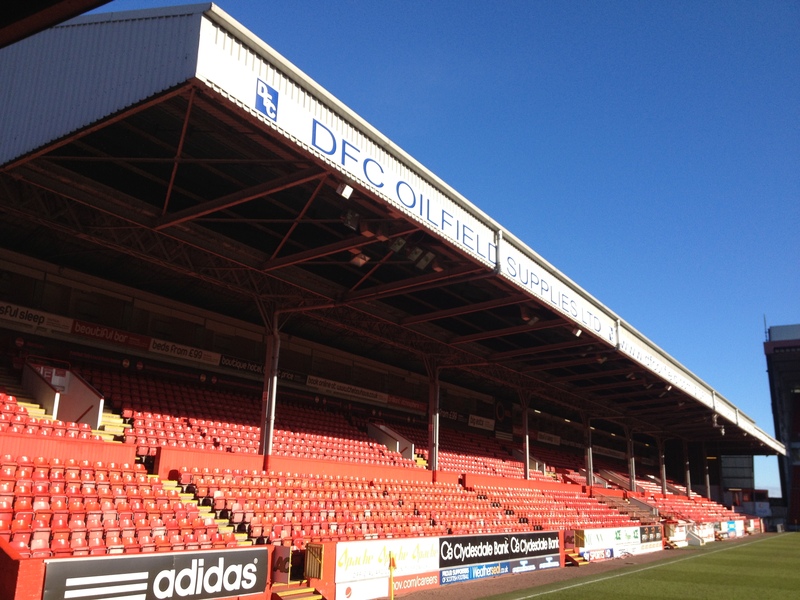 The existing main stand on the Pittodrie Street side of the ground was opened in 1925, financed by the sale of Alec Jackson to HuddersfieldTown. Built in the style of Archibald Leitch’s finest grandstands, it boasted the vaulted roof and now sadly lost roof gable. 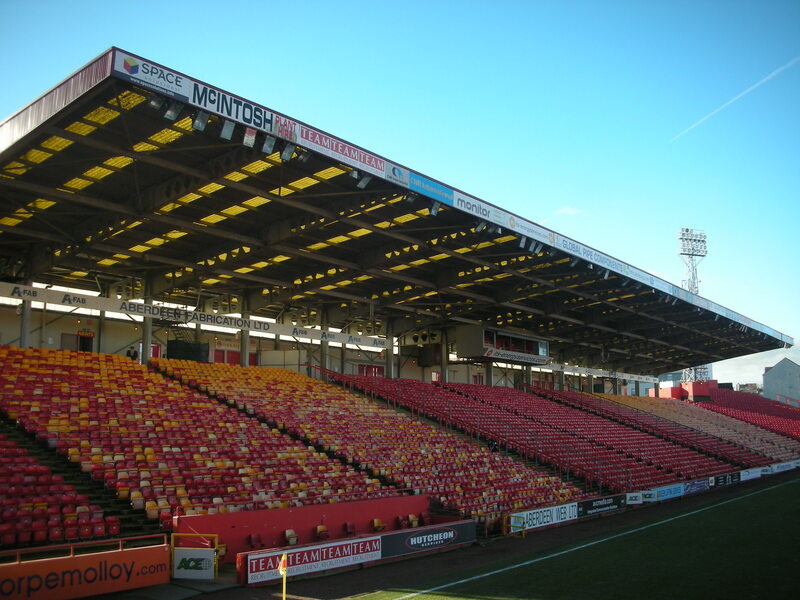 As it approaches its own centenary the stand has been modernised with the erstwhile plastic seating and a sympathetic re-cladding of the roof is two-thirds complete. It is an impressive modernisation, losing none of its authenticity and age, the vintage signage, the complex roof trusses and cramped leg room are all still amply in evidence. The club who bought dug-outs to an astonished football world now has simple planked benches for coaching staff and substitutes. Long gone are the 1928 dug-outs invented by then coach Donald Coleman, an obsessive of foot movement and a copious note taker, he wanted a sunken dry area to watch the feet and movement of his charges. His idea caught on around the globe. The Merkland Road End boasts the fine granite entrance built in 1928. 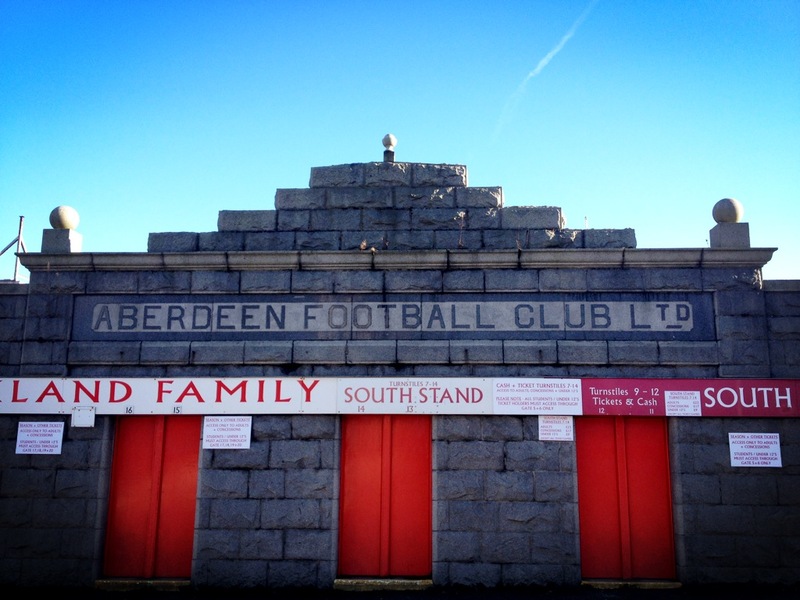 Some would say granite is a dark and sombre building material, however this beautifully symmetrical gateway will stand strong against the elements for as long as the current board wish to stay at Pittodrie. A stadium in the Granite City would be naked without liberal use of the tough igneous rock. The South Stand was covered in 1980 its cantilevered roof costing a not inconsiderable £750,000 and leaving many seats uncovered. However, the seating of this side of the ground in 1978 saw Aberdeen taking the learning from the 1975 Safety of Sports Ground Act and gain a considerable fiscal advantage of its procrastinating rivals. 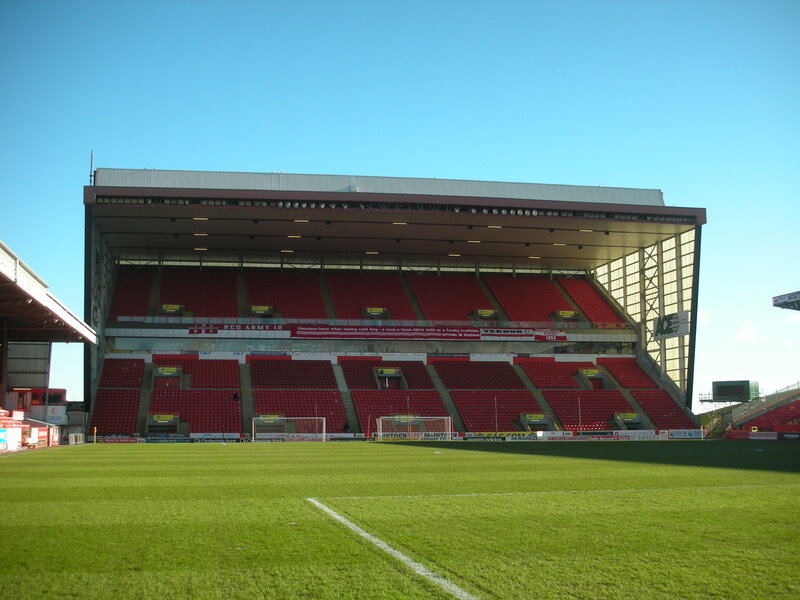 While competitors buried their heads and were later forced into mortgaging the family silver in the 1990’s to foot the cost of redevelopment, Pittodrie matured at a sensible pace. 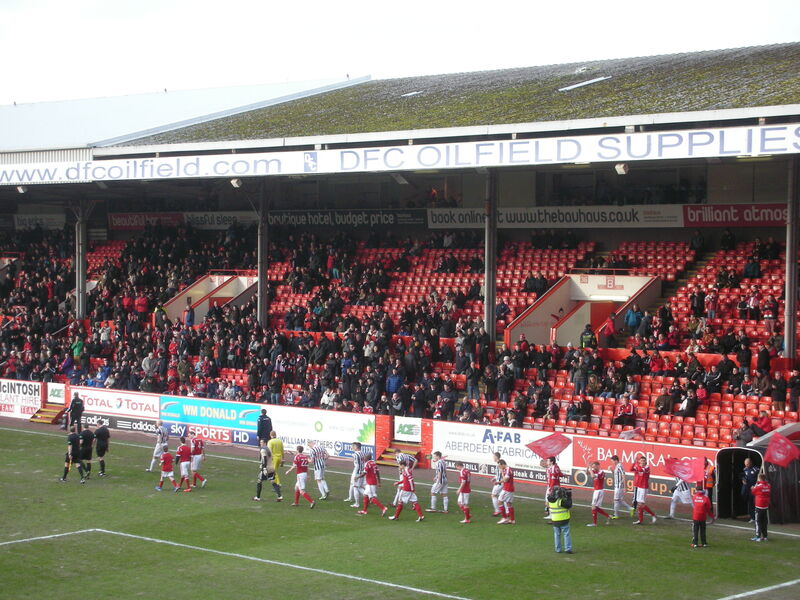 In tune with the prodigious domestic and European success of the Dons under Alex Ferguson, Pittodrie saw gradual improvements. In 1985, £500,000 saw the Merkland Road End re-roofed and two years later a very sensible £100,000 went on undersoil heating in this notoriously cold North Sea citadel. In August 1993 Princess Anne opened the giant double tier East or Sea End stand. 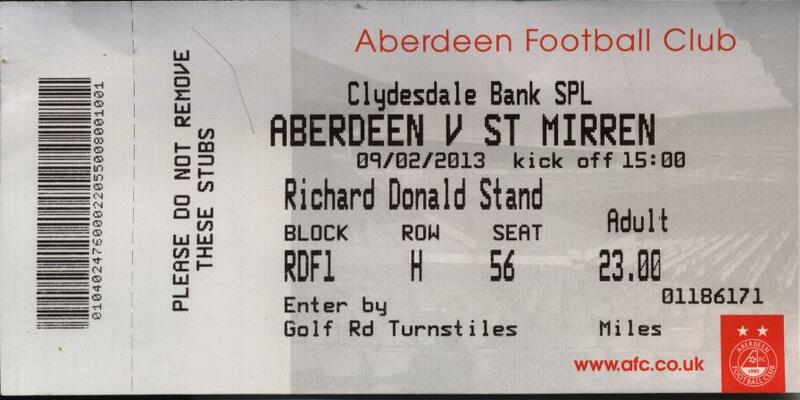 Costing a considerable £4.5 million, the Richard Donald Stand, named after a club stalwart, was not without controversy. Dwarfing its three neighbouring stands, locals complained it was too big and would even be seen in Norway. It is undoubtedly vast and also incongruously modern compared to the other stands, but it took the stadium into the 21st century for spectator comfort and safety. However, for the first time in 90 years the cost of the project also took the club into debt. In typical foresightedness and penchant for thriftiness, the board issued shares which allowed the club to re-finance and plan for the future. Fast forward to 2013 and The Dons find themselves at a pivotal crossroad in their history. Energy and funds are being thrown towards a potential move to Loirston Lock while little is being spent on the team and the current ground. The Pittodrie pitch is in a terrible state, a groundstaff allegedly being forced to work with a tiny budget, and the turf not recovering from an autumn battering at the hands (and feet) of Scotland and Tonga’s finest rugby players. A football international against Estonia in midweek has left the pitch muddy and devoid of grass in several areas. The current squad is a distant relation to halcyon days under Ferguson. The two combatants expend copious energy over the course of the game but achieve little of note. Technique desert both sides and chances are in short supply. The Dons Mark Reynolds is dismissed in the second half for a handball, a harsh but “letter-of-the-law” second yellow card. The locals are incensed at the perceived injustice and the vent their anger at every subsequent decision that goes against them. The visitors forward Goncalves misses the best chance of the game toward the end of the game, slicing wide with a gaping goal at his mercy. It was a suitable microcosm of a game low on quality and bereft of skill. The 15,000 empty seats tell their own story. 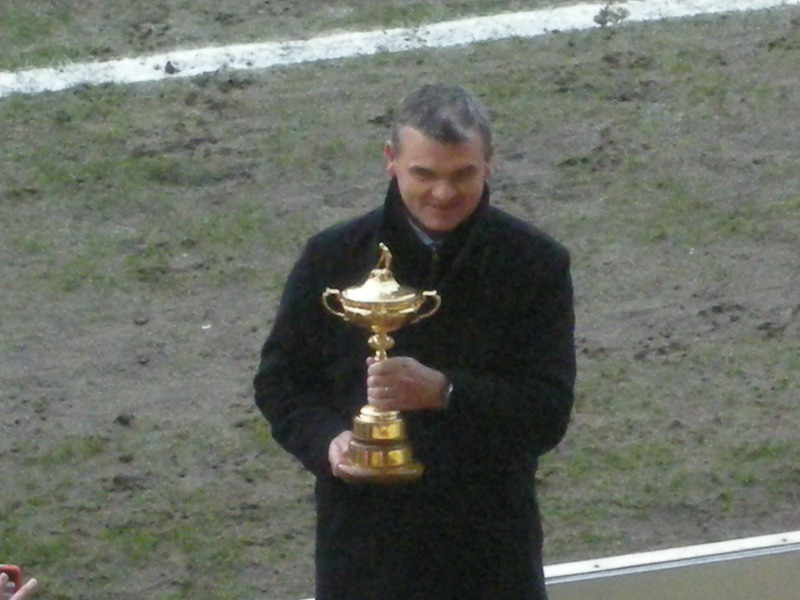 Arguably the warmest reception of the day was saved for Ryder Cup winning golfer Paul Lawrie, parading the glistening trophy around the pitch at half time. 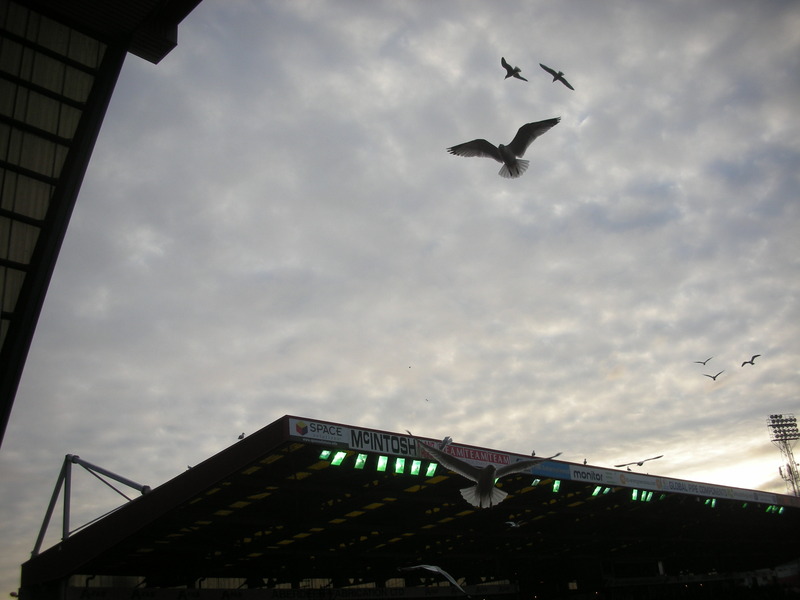 An intransigent city council may well sound the death knell for the embryonic move to the south of the city, but if the club do stay at Pittodrie the club has a home more than fit for the modern era and the club’s current needs. 1. Jamie Langfield; 23. Joe O’Shaughessy; 3. Clark Robertson; 4. Russell Anderson (c); 22. Mark Reynolds; 5. Gavin Rae; 16. Isaac Osbourne; 18. Stephen Hughes; 10. Niall McGinn; 11. Jonathan Hayes; 15. Peter Pawlett. Subs: 8. Rob Milsom; 9.Scott Vernon (for 18, 71mins); 13. Nicky Low; 14. Rory Fallon; 20. Dan Twardzik; 21. Josh Magennis (for 2, 67 mins); 38. Cammy Smith (for 15, 75 mins). 1. Craig Samson; 23. David Barron; 3. Paul Dummett; 6. Jim Goodwin (c); 14. Marc McAusland; 17. Kenny McLean; 21. Gary Teale; 24. Conor Newton; 10. Paul McGowan; 77. Esmael Goncalves; 9. Steven Thompson. Subs: 2. David Van Zanten; 5. Lee Mair; 7. Dougie Imrie; 11. Graham Carey (for 17, 90 mins); 16. Grant Adam; 19. Sam Parkin; 27. Lewis Guy. With my initial selection of twenty fascinating and beautiful Non-League football grounds proving to be popular, what better way to follow it up than with another twenty! So put the kettle on and sit back and relax and wade through a second selection of England’s finest footballing amphitheatres. One of East Anglia’s hidden gems, College Meadow is a welcome rarity in the sleepy football backwater of North Suffolk. Located behind the railway station in this ancient border market town, College Meadow has been BecclesTown’s home since the late 1920’s. 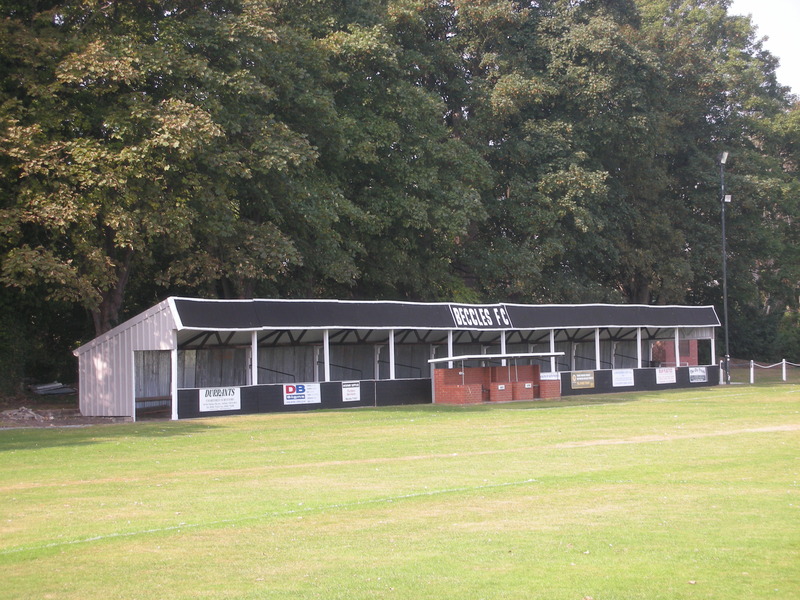 The ground’s crowning glory is a wonderfully evocative low roofed covered stand that is immaculately kept and resplendent in the club’s black and white colours. The Wherrymen’s heyday was in the late 1940’s and 1950’s when four figure crowds were common place at College Meadow. Ironically the largest attendance at the ground was for a match that did not involve Beccles. The ground staged the semi-final of the Suffolk Premier Cup in March 1956 when nearly 3,000 watched near neighbours Bungay Town take on Lowestoft Town. 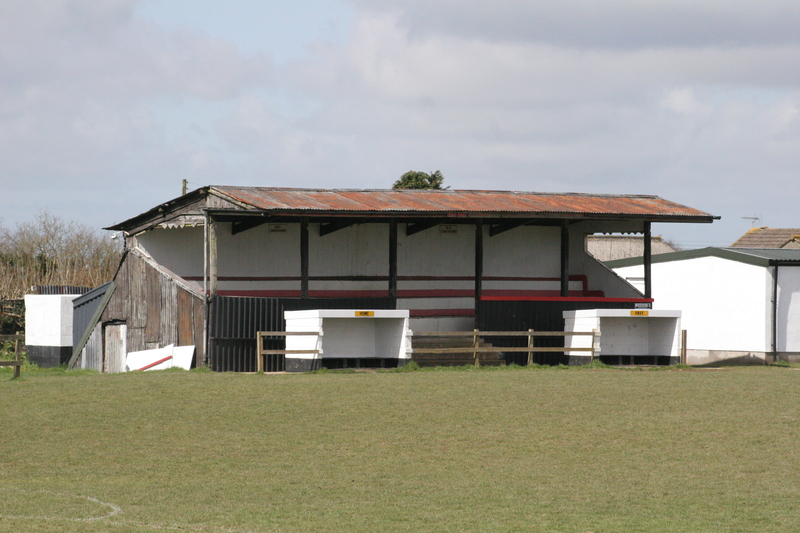 To the delight of any ground addict, in an area with hardly a surfeit of stands to admire, the adjacent ground of Beccles Caxton also sports a covered stand. Admittedly it is not a patch on its elderly neighbour but welcome none the less. Looking older than its August 1950 vintage Belle Vue is a quite magnificent ground located in famous iron and steel works town. The club opened their new home against Sunderland Reserves when a scarcely conceivably 7,000 witnessed the inauguration. The club had formed in 1899 as Consett Celtic playing at the Vicarage Ground until 1948 when it was swallowed up by the expansion of the Consett Iron Company. Two years were spent at Eden Colliery before Belle Vue was ready for occupation. The ground was a real community effort built almost entirely on voluntary labour and forged from a £5,000 fundraising pot. They were a serious semi-professional club playing in the old North Eastern and Midland Leagues before becoming founder members of the Northern Counties League. They once paid £10,000 to Everton for the signature of Albert Juliussen! They only joined the Northern League a recently as 1970. Originally the magnificent main stand had a lengthy cover facing it although disrepair and wanton vandalism saw it taken down. There is also still terracing, in a poor condition, adjacent to the grandstand. Sadly though Belle Vue’s days are number as a new ground is to be built in Delves Lane and the current ground demolished as part of the new £28 million Consett Academy. This historic venue was first used for cricket in 1853. Trinity were formed in 1873 and had to play second fiddle to cricket for many years and often started and finished seasons at a variety of different venues. In 1896 they were admitted into the Football League and spent a sixteen season stint in that competition before rejoining the Midland League. The present main stand is a modern structure opened in 2000 but built deliberately to give the same visual appearance of its wooden predecessor built in 1949. This stand had itself replaced an earlier structure burned to ashes by vandals during the Second World War. The lengthy cover on the opposite side was built in the early 1950’s. The ground was purchased by the Supporter’s Club the late 1990’s and their sympathetic redevelopment of this historic venue garnered widespread praise. However, the current club management are looking into possible relocation to a new stadium in the not to distant future. 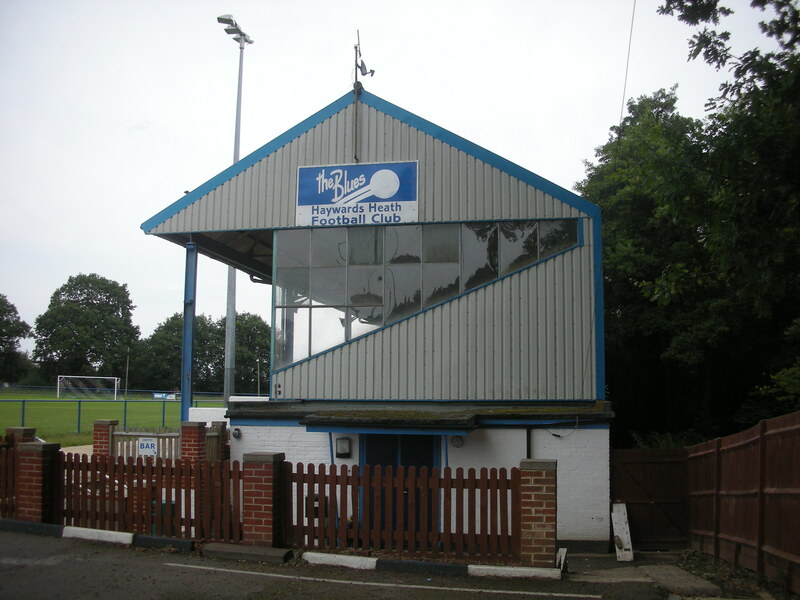 While Haywards Heath Town have struggled in the lower reaches of the Sussex County League in recent years, their superb Hanbury Park Stadium remains among the finest in Sussex. The club were formed in 1888 as Haywards Heath Excelsior, merging with Haywards Heath Juniors seven years later. The club moved into the present ground in 1952 and that was a springboard to their heyday in that decade when they had a ten season spell in the Metropolitan League. That competition provided the grounds record gate when 4,000 people saw the local derby with Horsham in 1952. The clubs’ elevation to the Metropolitan League came after being crowned Sussex County League champions two seasons running in 1949/50 and 1950/51. The club’s unprecedented success culminated in winning the Sussex Senior Cup in 1958. 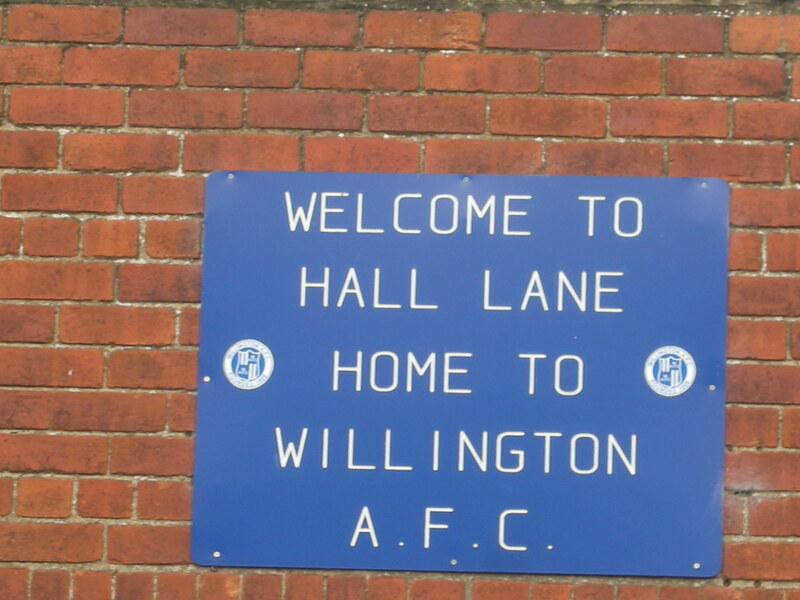 The club rejoined the CountyLeague in 1961, winning the title again in 1969/70 although the club then went into a spiral of decline throughout the late 1970’s and 1980’s. The ground remains impressive, the superb pitched roof main stand, these days sporting new cladding, accommodates 500 seated spectators and houses the changing rooms. The banking around the ground could accommodate 3,000 people in the unlikely event that Town enjoy a renaissance. Top Field is one of the country’s oldest football grounds, having staged one of the first ever FA Cup ties against Crystal Palace. In fact the original Hitchin Football Club donated £25 to the cost of the original FA Cup trophy. There is a bizarre, but enduring covenant on the Top Field which allows the society of local farmers, The Cow Commoners, to run their herds across the field once a year! Although the covenant has not been taken up for a vast number of years, the club are not allowed to build permanent buildings on the site. 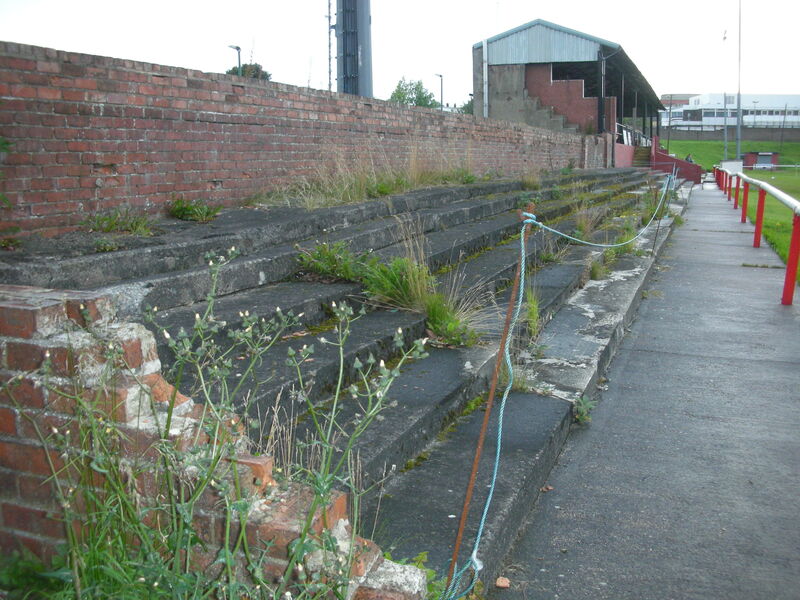 Therefore, the tremendous main stand and extensive wooden terracing could have to come down at any time! The original Hitchin club folded before World War II when their grandstand was burned to the ground. The current club formed as late as 1928 when they also opened the current grandstand. 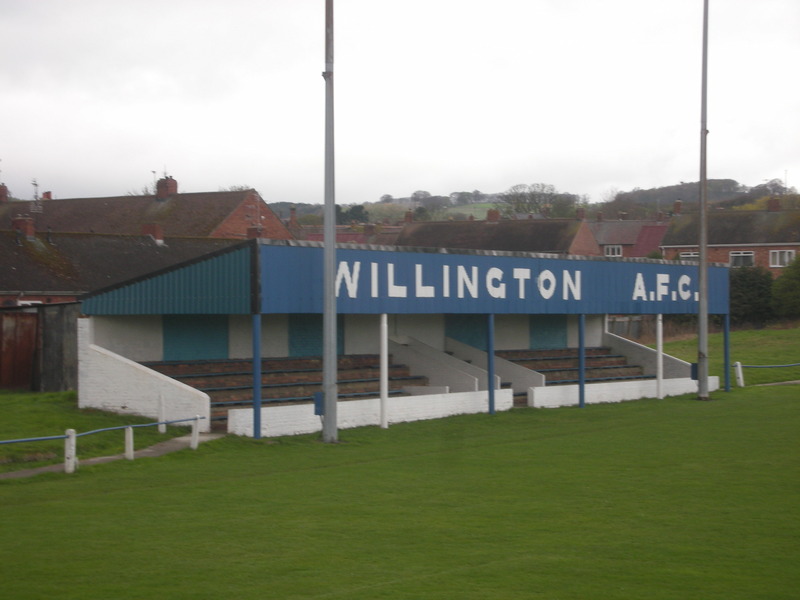 The wooden terracing was finished in the 1950’s and the only changes since then have been floodlighting in 1962 and a new wooden boundary fence in the mid 1990’s. In the 1960’s the club had the world’s first ever Football Museum, with a plethora of early football memorabilia. After its closure the exhibits were stored out of public view in the bowels of Hitchin Museum, although many are now on display in the National Football Museum in Manchester. The Netherfield area of this very pleasant Lake District town has a long history of shoemaking. In 1919 Netherfield were formed by workers from the local shoe factory called Somerville Brothers (now K Shoes). 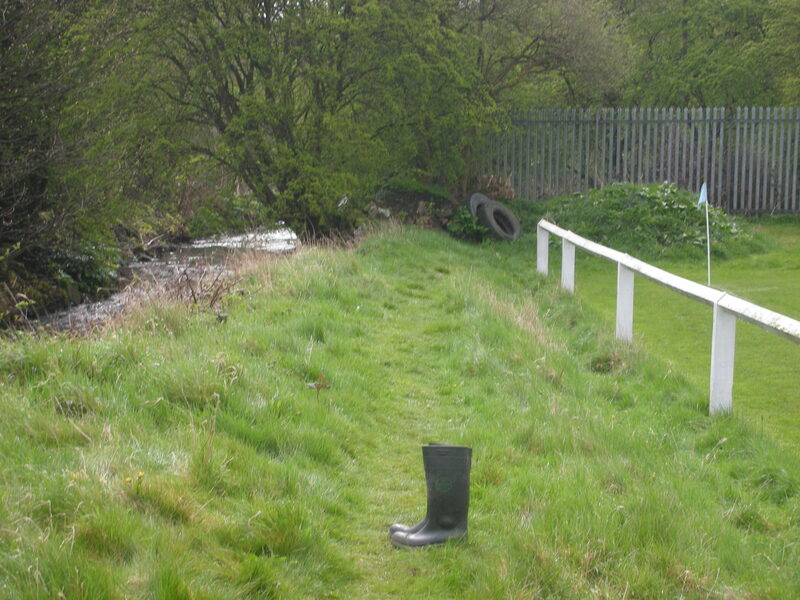 The club have always played at Parkside Road and their first set of goalposts were acquired second-hand from the Kendal Amateurs club. The players had use of the factory facilities until changing rooms were opened on the ground in 1928. The present timber stand was opened two years later and extended in 1955. The two areas of cover on the opposite side were also erected before World War II. The visit of Grimsby in the FA Cup in 1955 saw the record gate at Parkside and for the game a scaffold pole cover was erected over the terracing. This temporary cover remained until 1990, when it was badly damaged in a storm. The cover has since been replaced. Floodlights came to Parkside in 1965 and three years later they became founder members of the Northern Premier League. 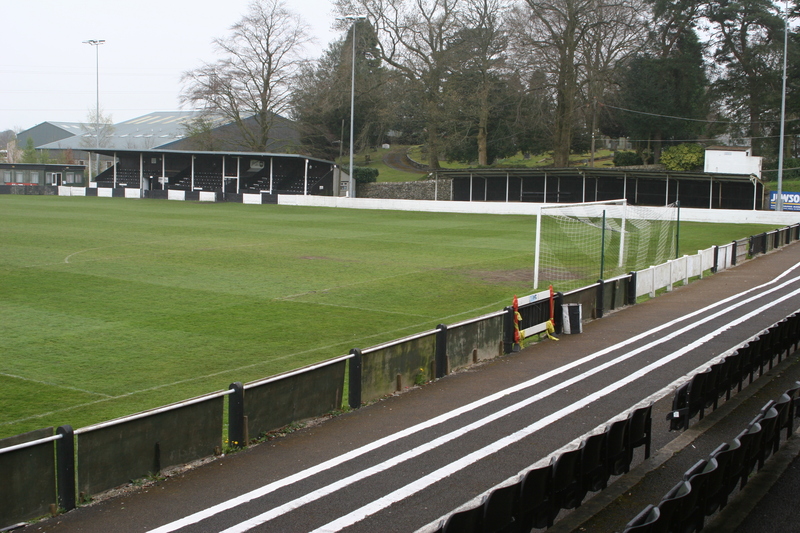 The club changed their name to Netherfield Kendal in 1998 before changing again a year later to Kendal Town, to more closely identify with the whole town. It is unusual these days to find a ground with all three original stands intact and still doing excellent service. This is a very historic venue having been a sporting venue since the 1880’s. Originally a rugby ground it was home to Heckmondwike RFC until they switched codes to football in 1903. HuddersfieldTown then bought the ground in 1933 and used as a training facility and “A” team ground for many years. Indeed a young Denis Law played an FA Youth Cup semi-final in front of 5,000 people on this ground in 1957. A variety of clubs including Norristhorpe Nipps, Heckmondwike Spen, Spenborough and Rendons have called Beck Lane home but now Littletown have sole residency at the venue. The sturdy entrance attest to its former status, it once had a cover behind the goal and a turnstile block. The large pitch side cover runs down the side opposite the fast flowing beck. The proximity of the beck to the pitch means a long net and waders are strategically placed to retrieve any wayward footballs. 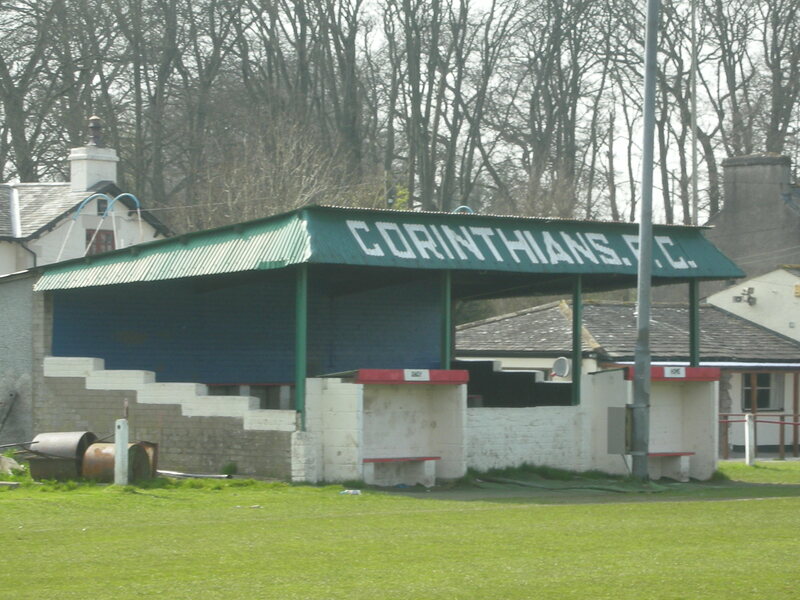 I must profess to knowing very little about Milnthorpe Corinthians, but their endearing Recreation Ground, with its rickety covered stand, is the epitome of village football in this beautiful area of England. The fast flowing River Bela runs around the ground to the right of the stand. Playing so far down the Pyramid, Strands Lane will never have any pretentions to greatness and its earthy and uncomplicated appearance is part of its charm. One thing is for certain that in an area renowned for it generous quantities of precipitation, rarely will a humble little stand be more welcomed by drenched supporters. 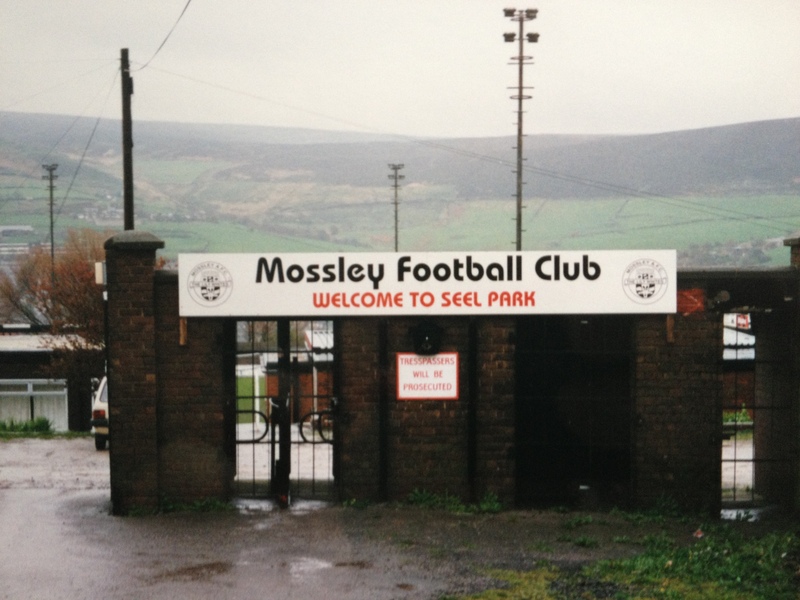 Seel Park has been the home of Mossley since the early 1920’s and over the years has seen some considerable for figure crowds including 7,145 for a Cheshire League game against near neighbours, Stalybridge Celtic, in 1950. The ground used to have extensive banking but in more recent times this has been levelled with only the main stand, built in 1968, having the benefit of the sole remaining banking. In 1980 the Park End covered terrace was erected and three years later a smart brick built cover was erected opposite the main stand. The extensive ground developments were as a direct result of a sustained period of success for the club which culminated in a Wembley appearance for the 1980 FA Trophy Final. However, the glory days faded and relegation from the Northern Premier League was suffered at the end of the 1994/95 campaign. Their current stint in the Northern Premier League has lasted since 2004. Disaster befell Seel Park in 2009 when two floodlight pylons collapsed and the other six were subsequently condemned necessitating an extended spell at Ashton United’s Hurst Cross while new lighting was installed. At 850 feet above sea level Seel Park is the fourth highest ground in England behind those of Buxton, Tow Law and Bacup Borough. A modest club that has made some big strides in recent years. The club were formed in 1952 and joined the West Yorkshire League via a brief stint in the Leeds Combination. Roy Elam who enjoyed a good career with Huddersfield, Leeds and Bradford City started his career at Robin Hood. The club originally played at Sharps Lane before taking over a fallow field behind the Coach & Horses Hotel in 1968. 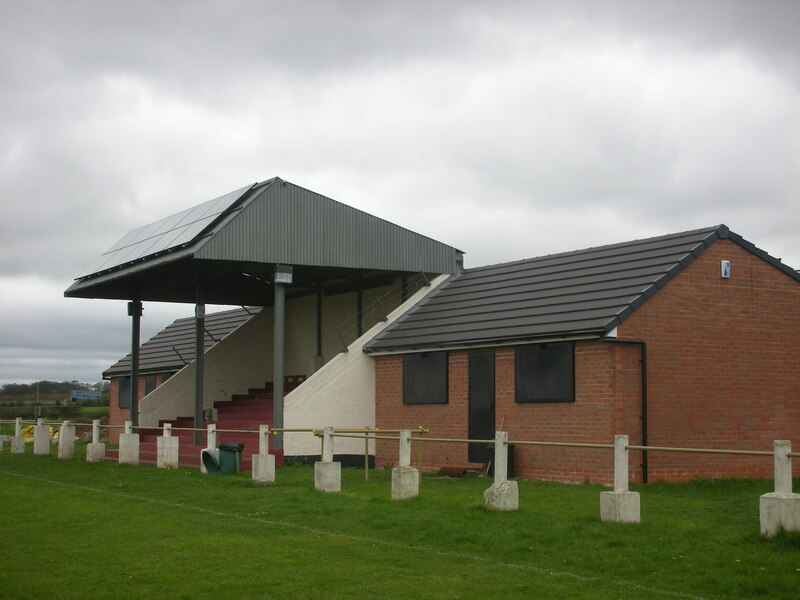 The current stand dates from the late 1970’s and has been renovated in recent years and had the addition of solar panels to the roof to allow the generation of electricity for club use and sale to the National Grid. In 2003 the club purchased the whole site under the proviso it was always retained as a recreation space. 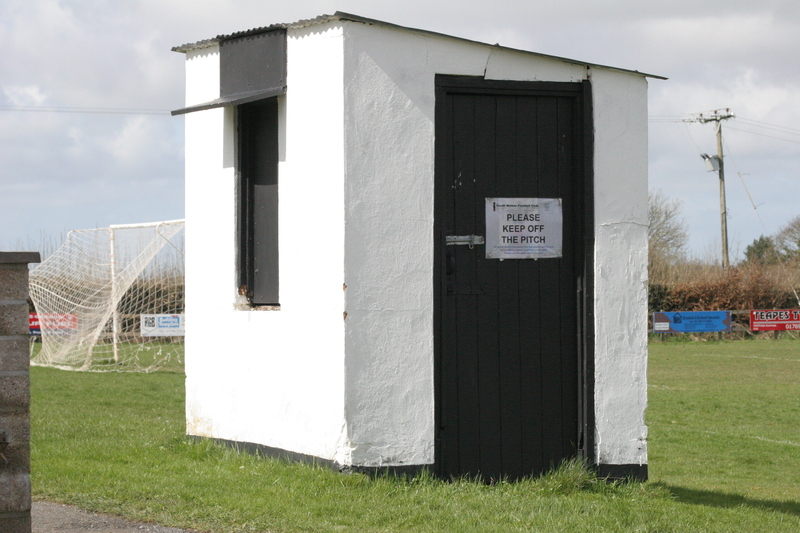 Seven years later after substantial fund raising the club opened the on site changing facilities. Previously the changing rooms were located behind the pub. Now boasting some of the best facilities in the league the clubs immediate plan is to return to the Premier Division as soon as possible having finished third or fourth in each of the last five seasons. An amazing ground due to the wonders of geology rather than the facilities on offer. Although there is nothing wrong with the ground, it provides ample parking and has a very acceptable clubhouse. The playing surface is excellent and there is also a floodlit all weather training surface. There is a very small cover which bears the club’s name and looks suspiciously like a converted dug-out. 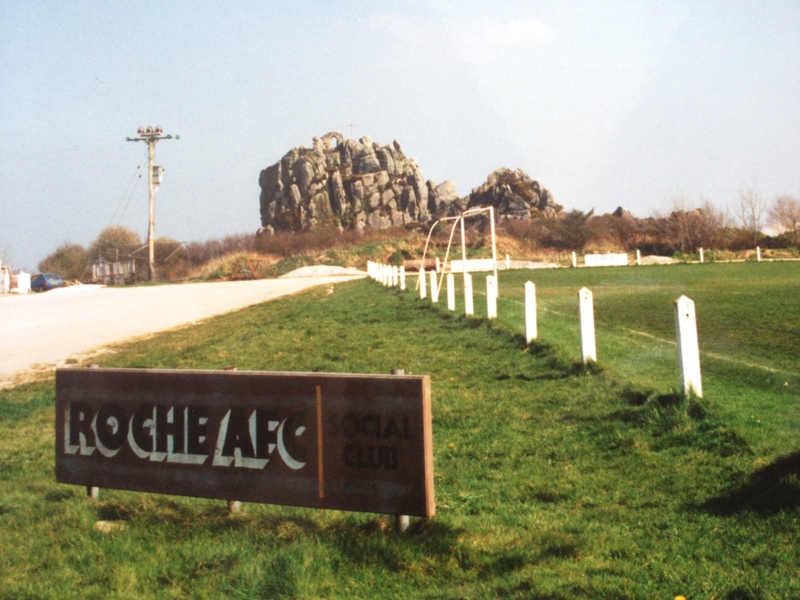 However, the most remarkable feature of this ground is the unmissable presence of the granite cliff outcrop known as Roche Rock. It is a stunning edifice topped with the ruins of a church believed to date from the 15th century. The rock is actually open for climbers and provides a stunningly lofty view of the ground and the surrounding Cornish clay hills. Little is known about the formation of this club although they were North Devon League Cup Winners three seasons running between 1906 and 1908. The club had played in the North Devon League for many years and play at a picturesque little ground with a very unusual wooden stand. The stand was move from the town’s showground in the 1920’s although its exact age is not known. There must have been support for the club at some point as there are two derelict turnstile blocks at either end of the ground. 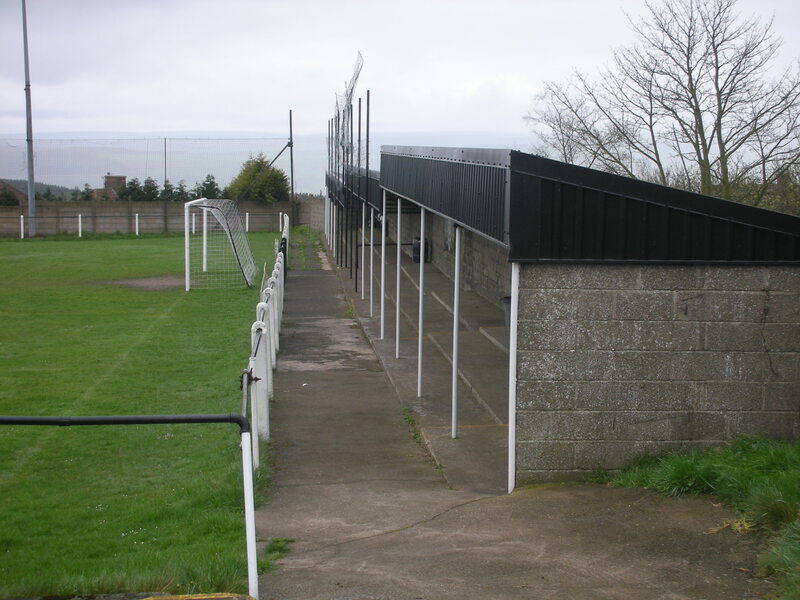 In 2009 North Devon council part funded the new changing room and toilets facilities, prior to then Old Alswear Road had no flushing toilet facilities! Currently there is talk of both the football and rugby club moving to a multi million pound sports “hub” to include six pitches. The favoured site being in fields adjacent to South Molton Community College which is further along Old Alswear Road. If this quirky little venue is lost to football forever it will be a very sad day. 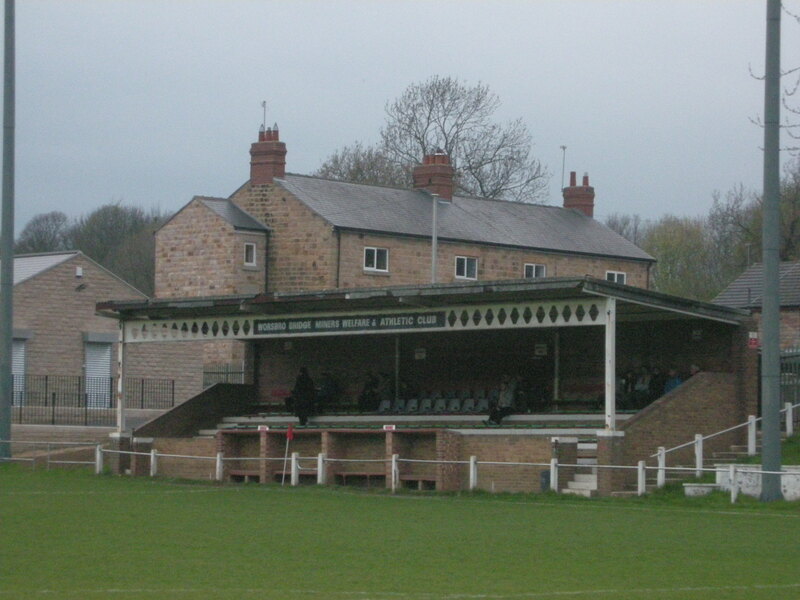 Stamford have always played at the Wothorpe Road ground. However, when the entrance was changed the renaming of the ground to the more geographically correct Kettering Road suddenly caught people unaware and some erroneously thought the club had knocked up a new venue without anyone knowing! Pleasingly, however, despite elevation to the Southern League in 1998, the club have kept hold of their delightfully old fashioned ground. 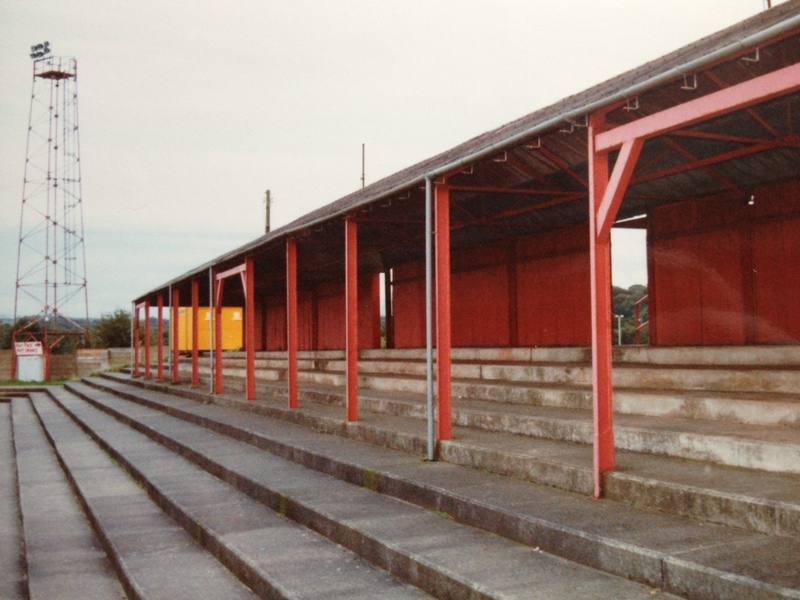 The old wooden main stand, the original dating from the clubs’ earliest years, has stood the test of time and was extended in the mid 1970’s with the club doing well to preserve its essential character. The dressing rooms are also the original buildings. Opposite the dear old stand is an area of covered terrace which originally ran the entire length of the pitch although safety concerns saw it halved in length. Development on this side has always been hampered by the presence of the adjacent railway line. The most recent developments were the clubhouse, in 1975, and floodlights six years later. Interestingly the pylons are painted to blend in with the sand coloured Georgian buildings so prevalent in this historic market town. The club’s nickname, The Daniels, stems from the town’s fame as home to, at one time, England’s fattest man, Daniel Lambert. Recent rumours of relocation across town may mean time is ticking on this ancient venue. Of all the three sided grounds still in use at a high level, Bracken Moor is arguably the best. Situated high above Sheffield, the football club share one side of the pitch with Stocksbridge Works Cricket Club. Until 1950, the whole ground had a steep slope, but with not inconsiderable effort, the pitches were levelled and the earth removed created banking around the ground. The excellent stand and adjacent dressing rooms were cut into the banking when erected during the summer of 1964. 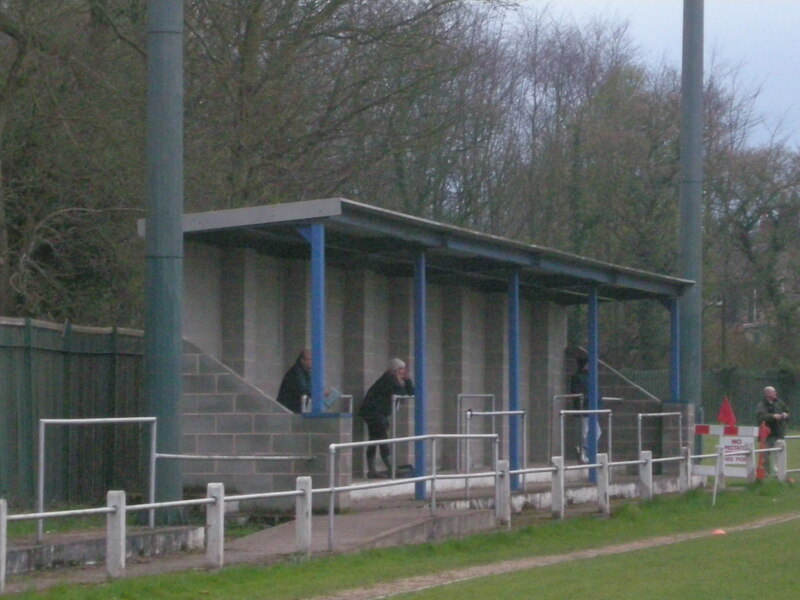 More recently the stand has been equipped with seating acquired from Hillsborough. The current club were the result of a 1985 merger between Stocksbridge Works FC and Oxley Park FC. Floodlights came to the ground in 1990 and the Bracken Moor Lane end was also covered. Promotion was finally secured in 1996, having been denied two years earlier when requested improvements had not been completed. 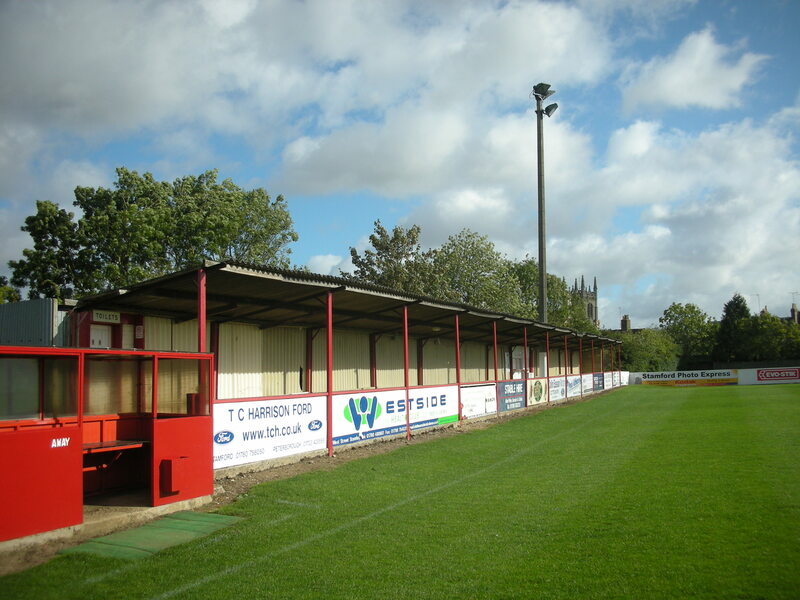 The Recreation Ground has now passed its centenary, having been home to Thetford Town since 1905. The enclosed ground is part of a large sports complex and until the 1960’s was shared with the cricket club. 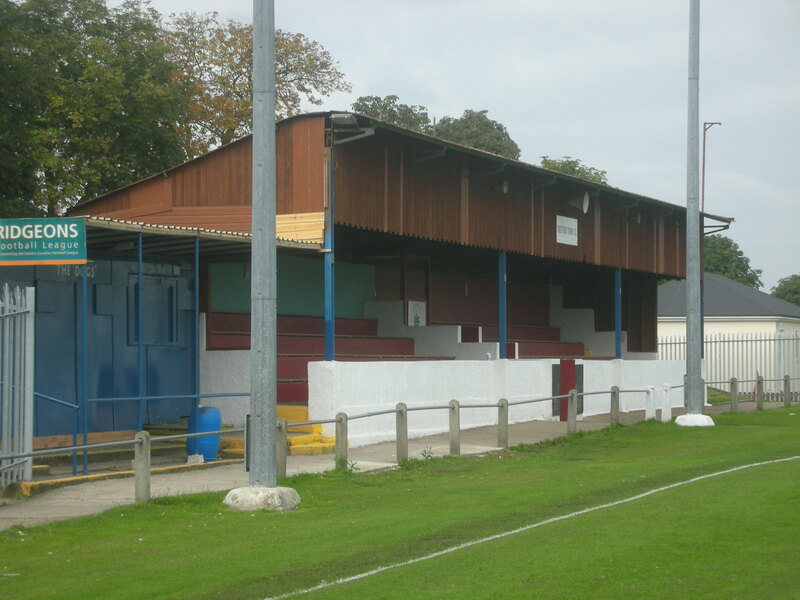 Most of the ground’s facilities are on the Mundford Road side. The main stand, a strange concrete and timber affair, was erected in 1946. To either side of the stand are a few steps of open terrace. Behind the stand is a modest clubhouse and adjacent to the pay hut is a small boardroom. The club erected eight floodlight pylons in time for the 1988/89 season. There was a long rickety old cover built of corrugated iron with wooden bench seating on the side opposite the main stand. 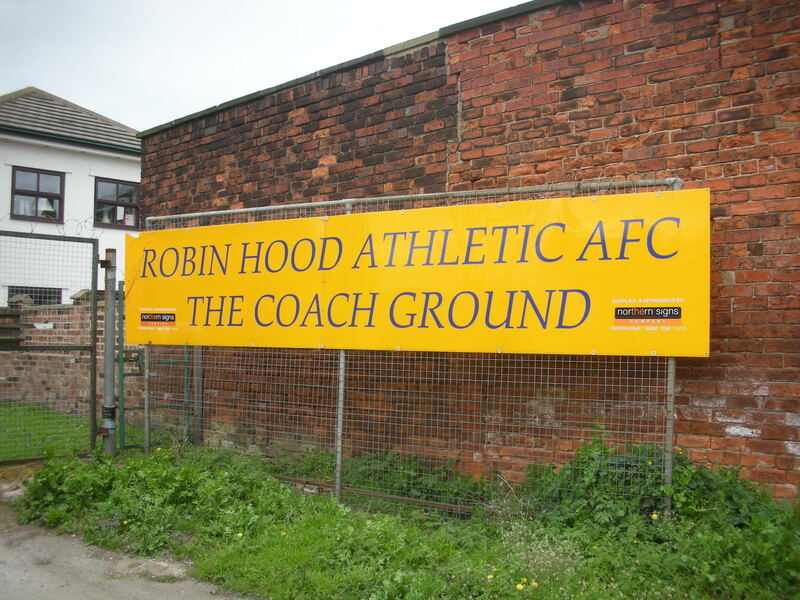 This was taken down around ten years ago and a more sturdy fence erected to further protect the Brecklanders ground from the unwanted attention of the local vandals. 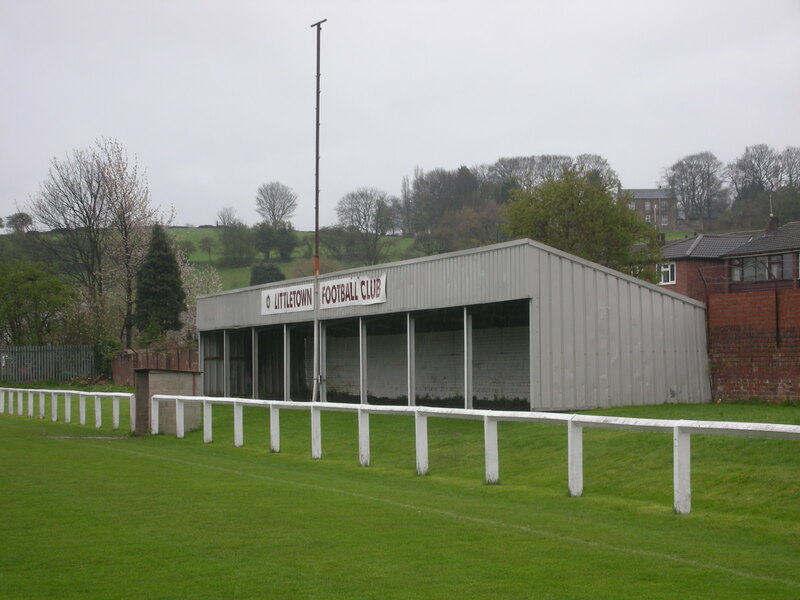 The Ironworks Ground rivals Buxton’s Silverlands ground as Britain’s highest ground. Tow Law is one of those places that will always seem to be freezing cold. On my visit I was dressed up like the Michelin man and was still shivering, and I kid you not the gateman was wearing a vest t-shirt! They breed them tough up in the Durham coalfields. Ironically the ground was built by striking coal miners, and used the banking of the adjacent, now closed, railway to good effect. The present main stand replaced an old wooden one in 1970. Soon after the cover behind the goal was erected which offered a modicum of resistance from the bitter winds that howl across the pitch from the hills all around. 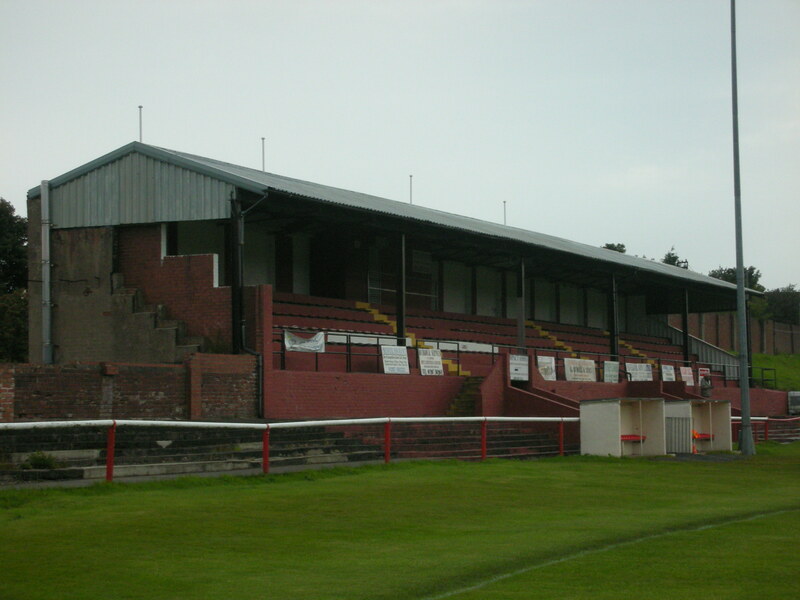 The most recent development at the Ironworks Ground came in 1992 when the club acquired their first set of floodlights. In 2004 the club suffered from collapsed mining works under the pitch that left a ten metre crater in the pitch. The club sought solace at Esh Winning while remedial work was carried out. It is a truly unique footballing experience at Tow Law, so wrap up warm and take a flask of something reviving to thaw yourself out! This club has fallen on hard times in recent years, but it has a proud history and a ground that oozes character. The club reached the Amateur Cup Final in 1939, but lost to Amateur Cup kings Bishop Auckland at Roker Park. However, eleven years later both clubs again reached the final, but this time Willington triumphed 4-0 in front of 88,000 at Wembley. The club was originally formed out of a Temperance Club, common at the turn of the last century. The club were members of the Northern League between 1911 and 2006. They won the Northern League title on three occasions. Former managers include men of considerable reputation, such as Malcolm Allison and Alan Durban. The Hall Lane ground was relatively undeveloped until the mid 1950’s, the club’s glory years. A stand was erected with wooden bench seating and a proud fascia board. Later still, in 1969, the clubhouse was erected, followed by new changing rooms. The original set of floodlights went up in1973, to be replaced in 1992 by a set acquired from the former Vane Tempest Colliery. 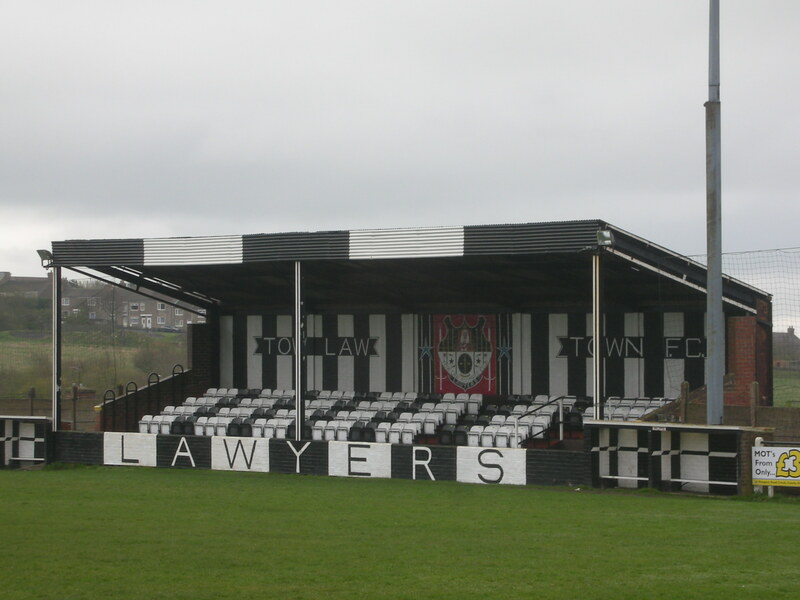 Although the club has installed modern modular covered standing behind the goal, it is likely that the main stand will remain untouched while the current team languish in the Wearside League. Good job too. A leafy glade, church spire to the rear of the stand, Stag Meadow is every inch the sleepy Home Counties ground. The main stand, a standard pitched roof design of its era, was erected in 1948 and has kept its good looks despite the insertion of the mandatory plastic seats. To the side and slightly back from the stand is the clubhouse and dressing room block, housed in a frankly ugly building which is a fair blot on the landscape. On the opposite side is a substantial covered terrace, elongated in recent years. This stand’s predecessor had the shortest of life spans, being blown down while the cement was still setting! Both ends have grassed banking dating from the mid 1970’s as do the floodlights. 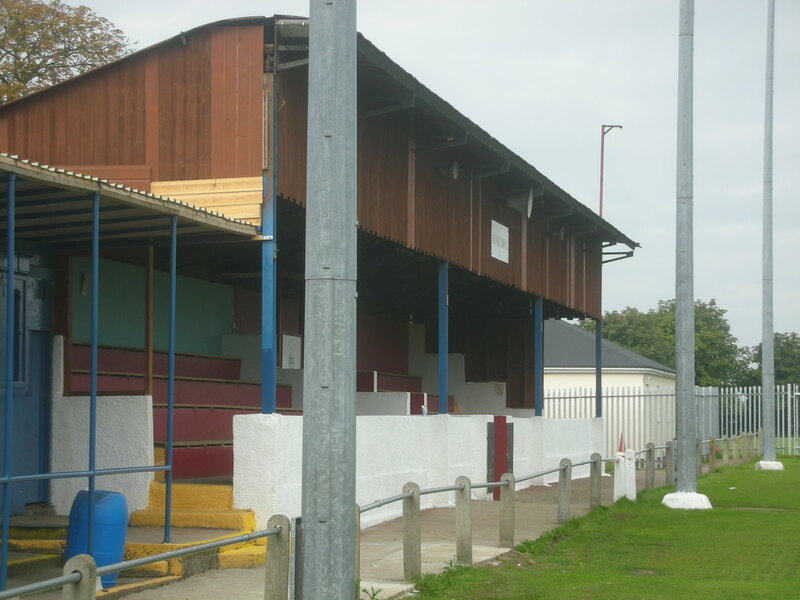 The last work carried out on the ground came in the 1990’s when flat, hard standing was laid to comply with the Isthmian League ground grading requirements. However, Windsor and Eton collapsed in a financial mess in 2011 and a reborn club christened simply Windsor FC joined the Combined Counties League. Borough Park is a real throwback to yesteryear and is much the same as it was during the club’s lengthy spell in the Football League between 1951-77. The club initially played at Lonsdale Park, the stadium adjacent to Borough Park, which is still in existence, albeit in a run-down state, for greyhound racing. For the 1937/38 season Workington moved to a new ground with tremendous assistance from the Borough Council, from where the ground takes its name. However the new ground was not quite ready and the first matches of the campaign were played on the Ellis Sports Ground. Interestingly this ground is still in use for sport by Workington RUFC. The magnificent brick-built main stand was opened in September 1937 and after the war the ash banking was replaced by concrete terracing and extensively covered to give a capacity of 20,000. The club also bough two railway carriages for use as refreshment huts. The floodlights, with unusually squat pylons, were erected in 1957. Twenty years later the club lost their League status in favour of Wimbledon and the Cumbrians fell on a long period of struggle. Borough Park has essentially remained unchanged except for the 1986 closure of the main stand. 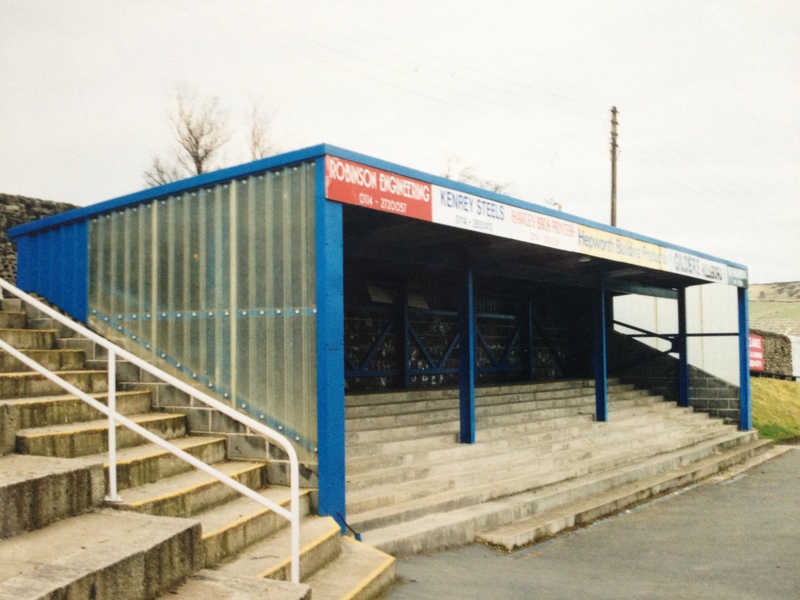 It was deemed unsafe for spectators, so rather than lose all the facilities under the stand, the club simply ‘beheaded’ the stand and put a roof where the former seating was once located. This meant that for five games in 1986/87, the Reds once again used the ancient Lonsdale Park for home games. A visit to Borough Park is a real nostalgia trip and this remote but beguiling football outpost remains a firm favourite for enthusiasts. 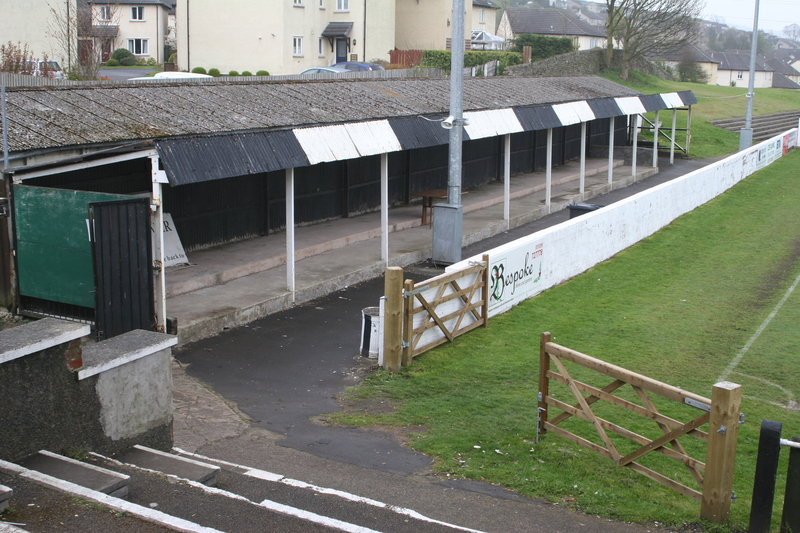 This club possess a picturesque little ground and a fine view of this ground can be afforded from the bridge over the River Dove on the main road through the village. The river flows down one side of the ground and opposite is the changing rooms, Welfare Hall and the main stand. The stand is given a little bit of individuality with a name board and unusual diamond shaped holes on the roof support, seemingly indiginous to colliery teams of this region. Interestingly this is one of a very few grounds that hosts a miners welfare team but is not actually owned by the welfare. Instead Park Road was brought by the Athletic club in 1953 but leased to the Miners Welfare since 1959. There was already grass banking on one side and in 1970 the main stand was cut into the bank. Floodlights came as recently as 1993 but the club will be hampered on a quest for higher grade football by the sharing of the far end with the cricket club. Park Road, however, is a pretty little venue and the record gate remains at the official figure of 1,603 for an Amateur Cup tie with Blyth Spartans although locals will tell you the true figure was nearer 2,500.